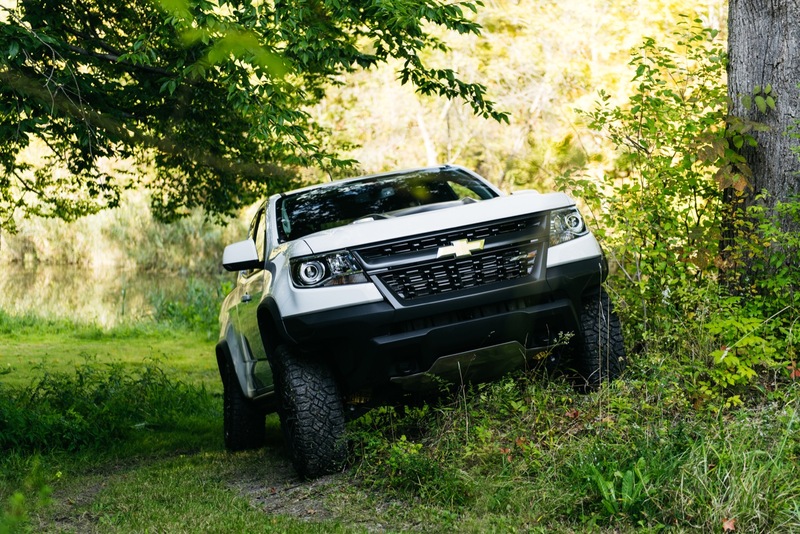 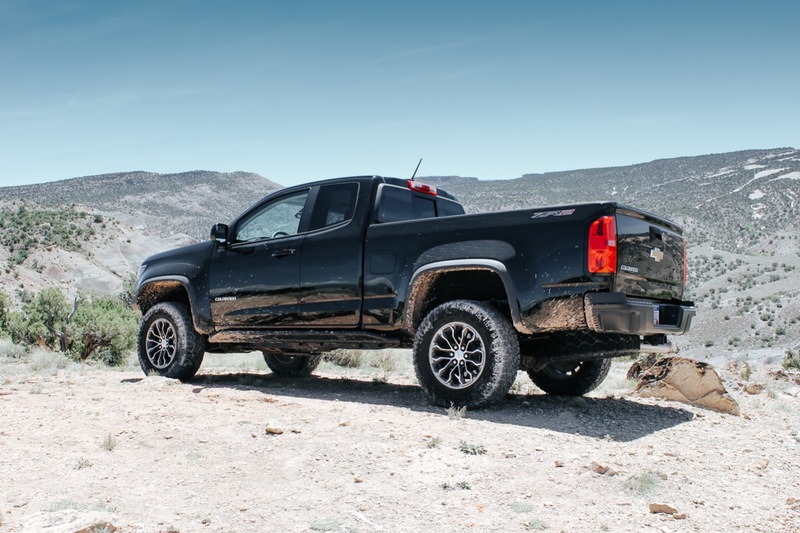 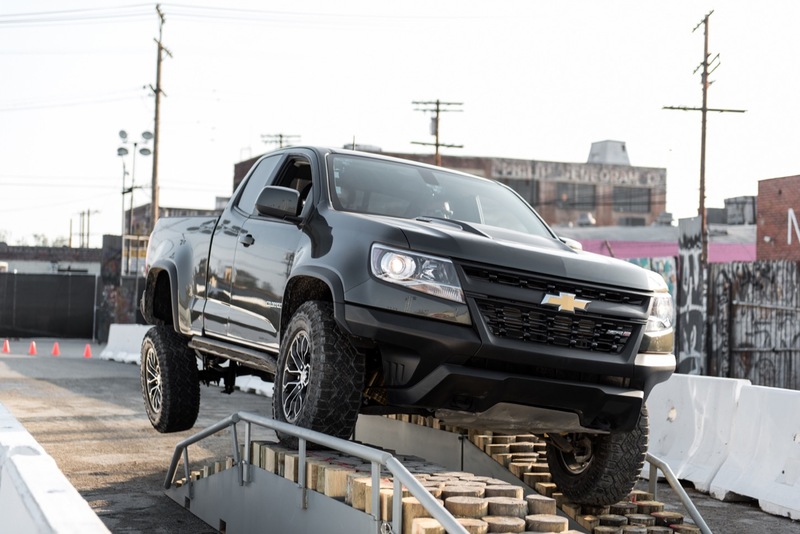 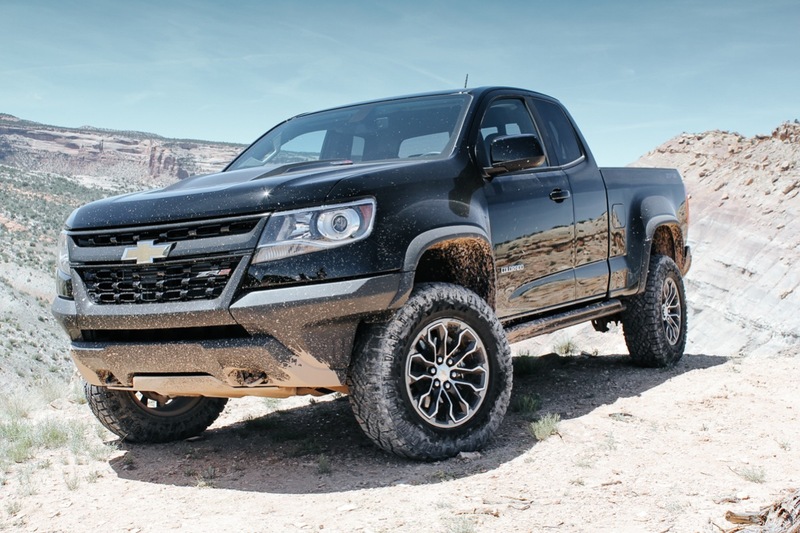 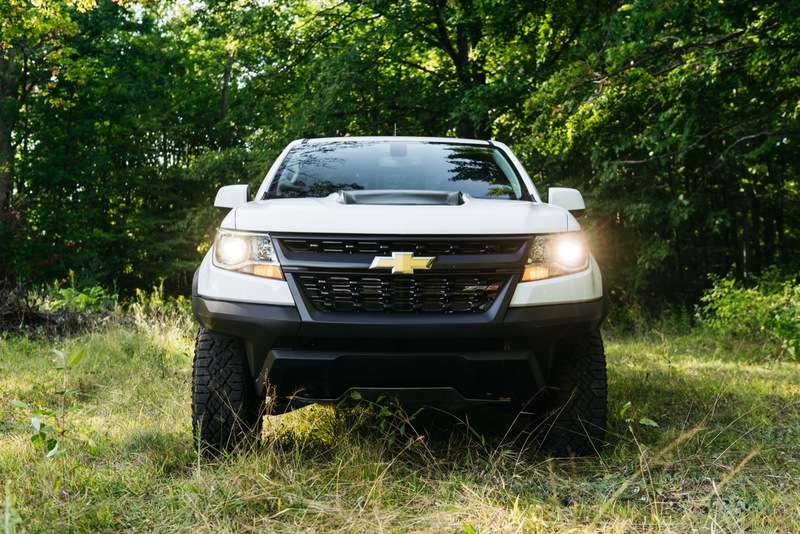 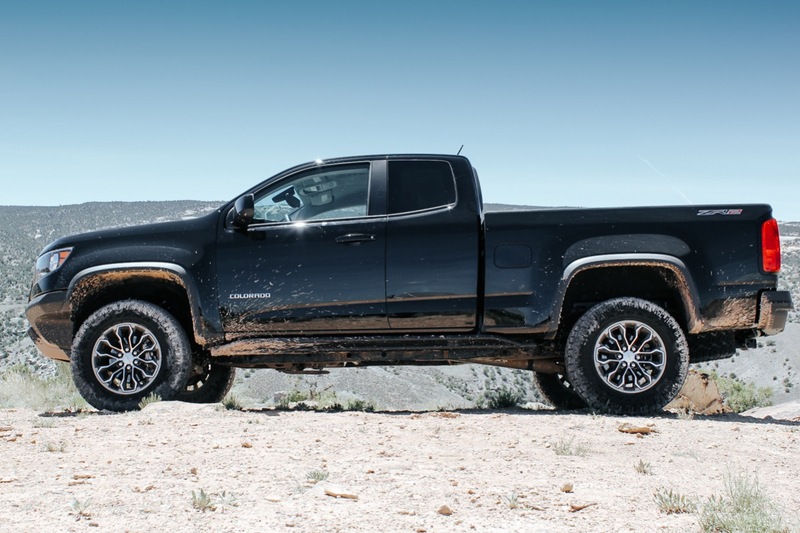 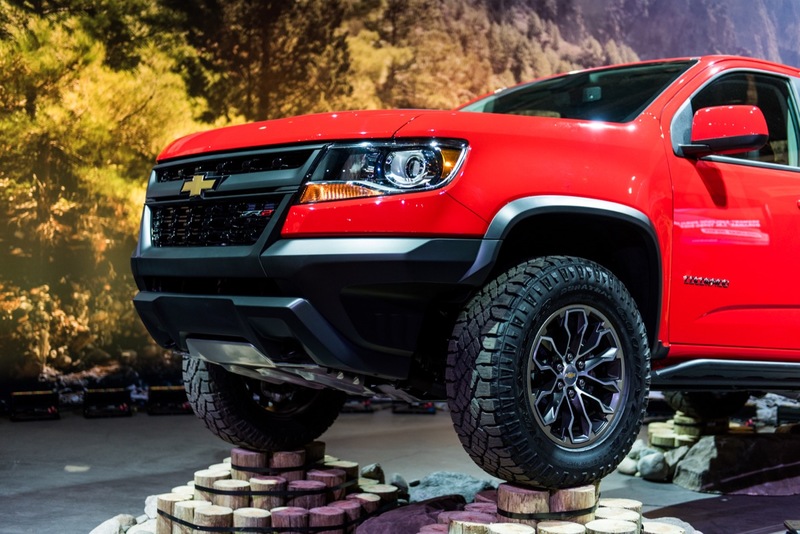 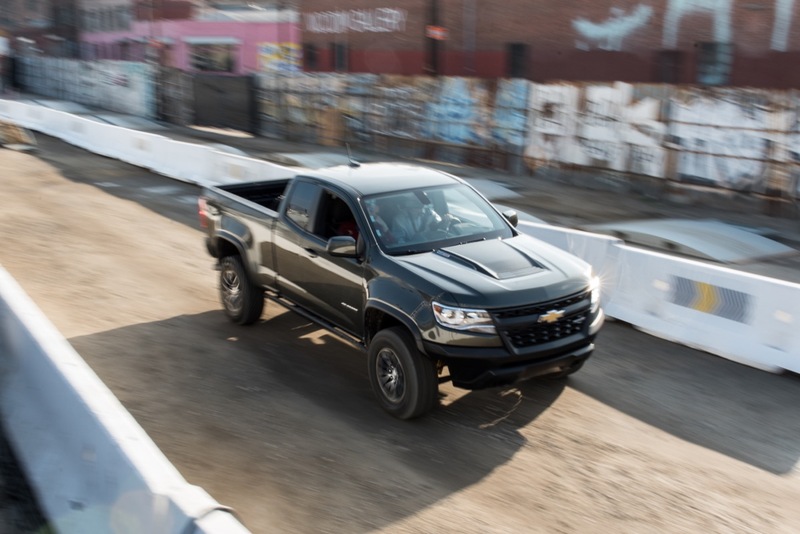 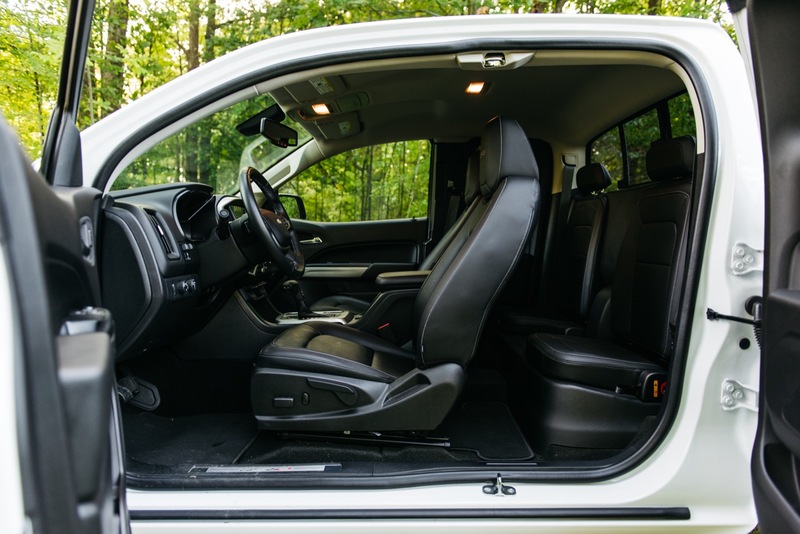 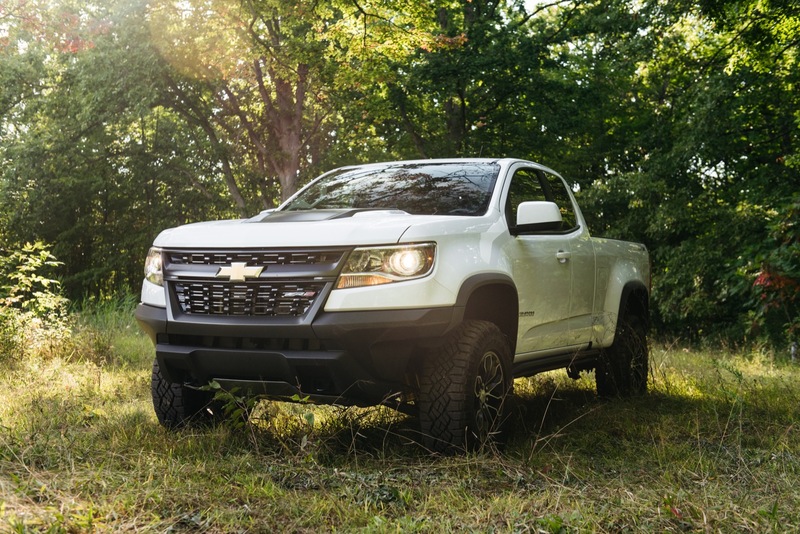 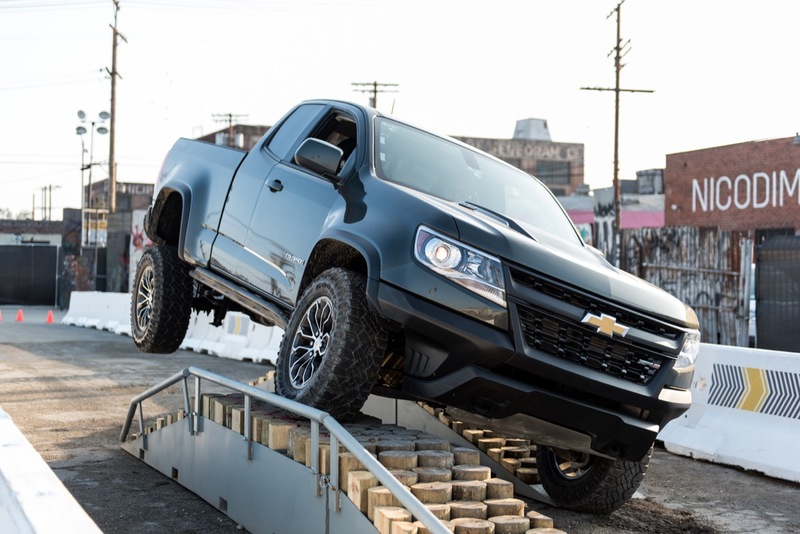 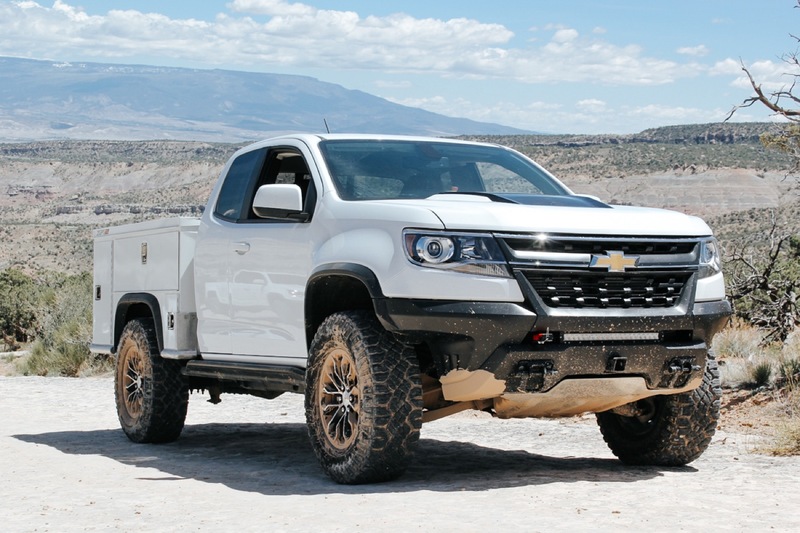 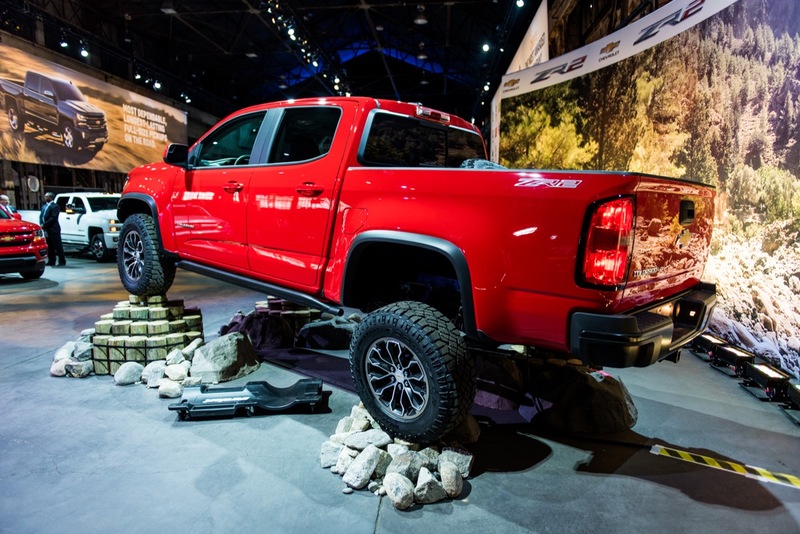 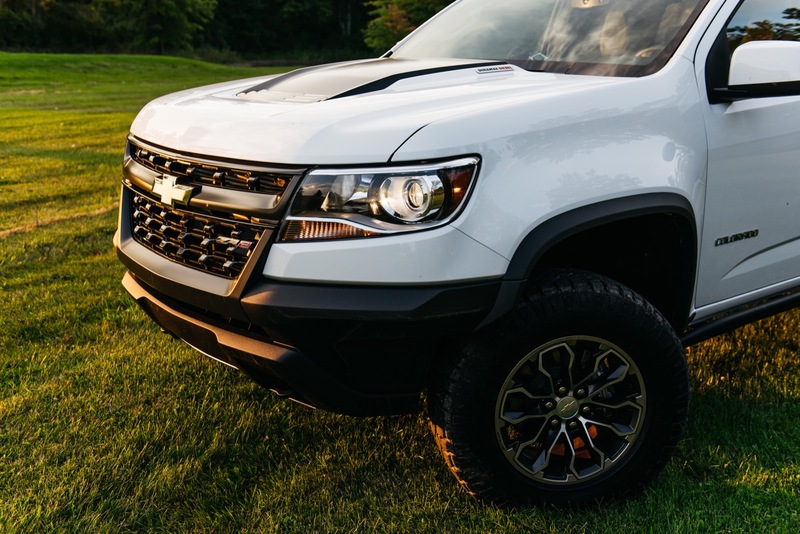 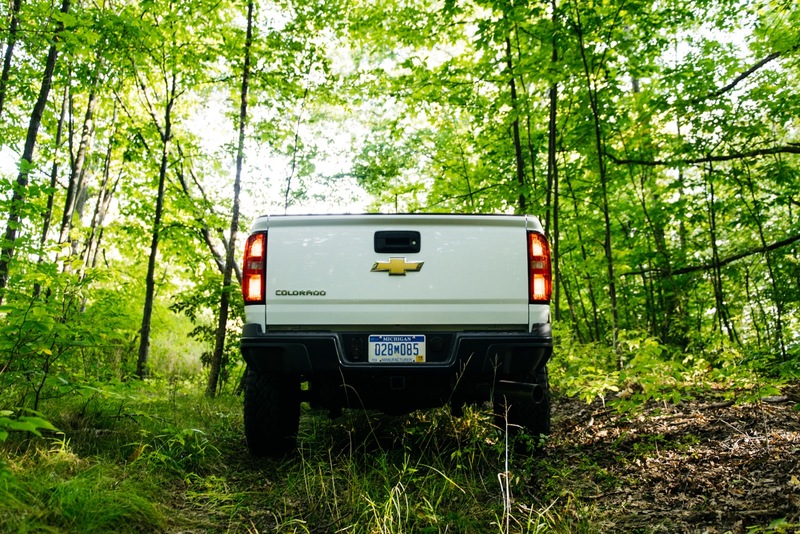 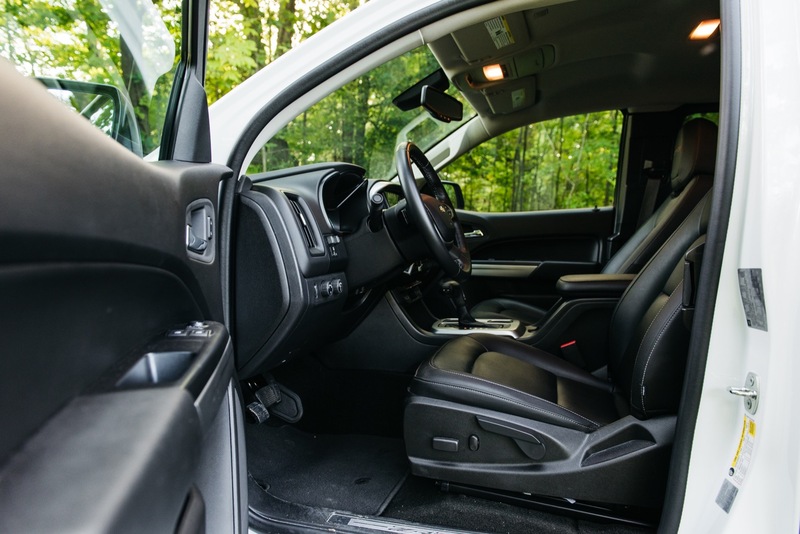 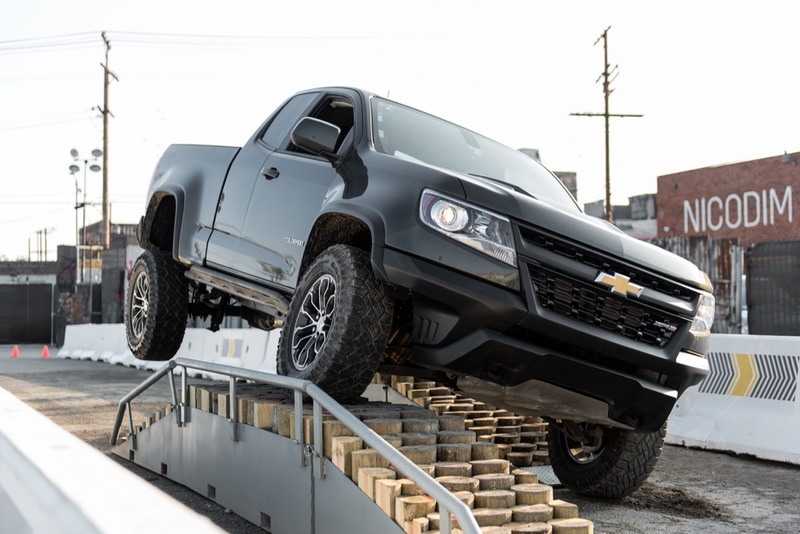 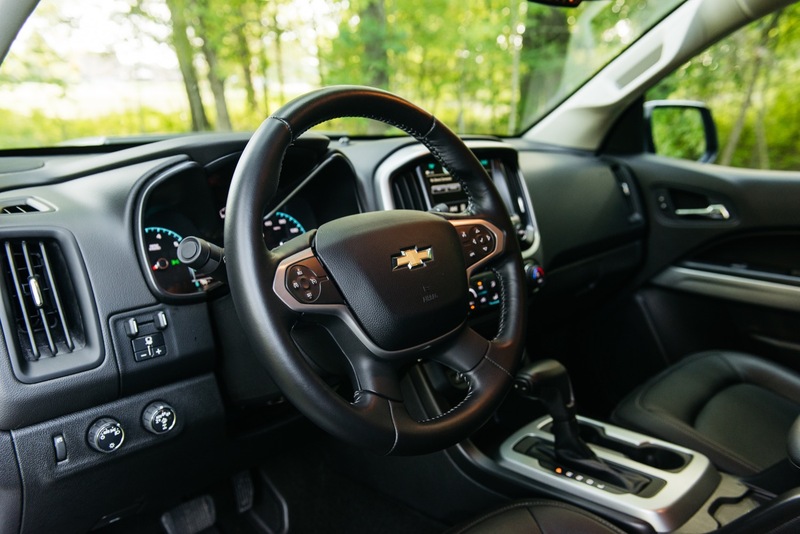 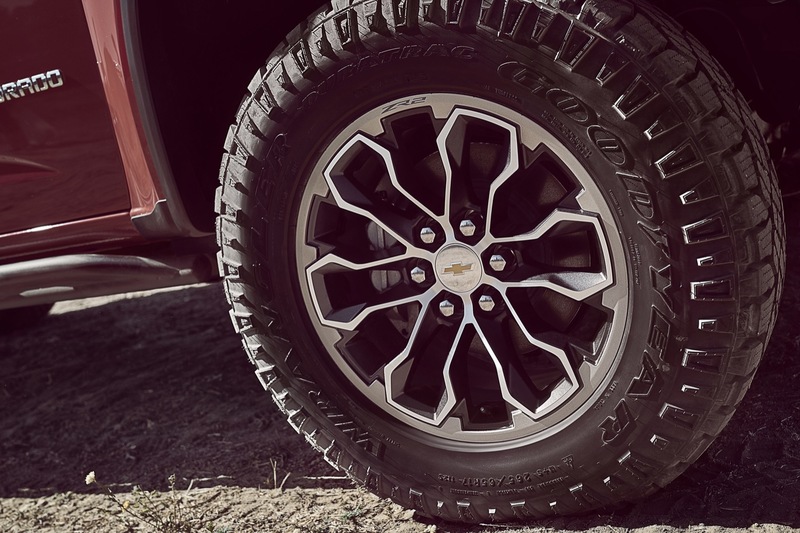 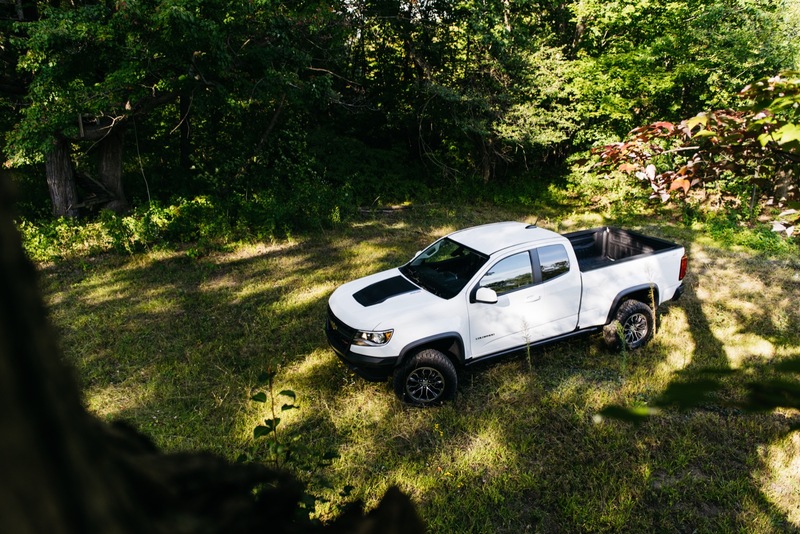 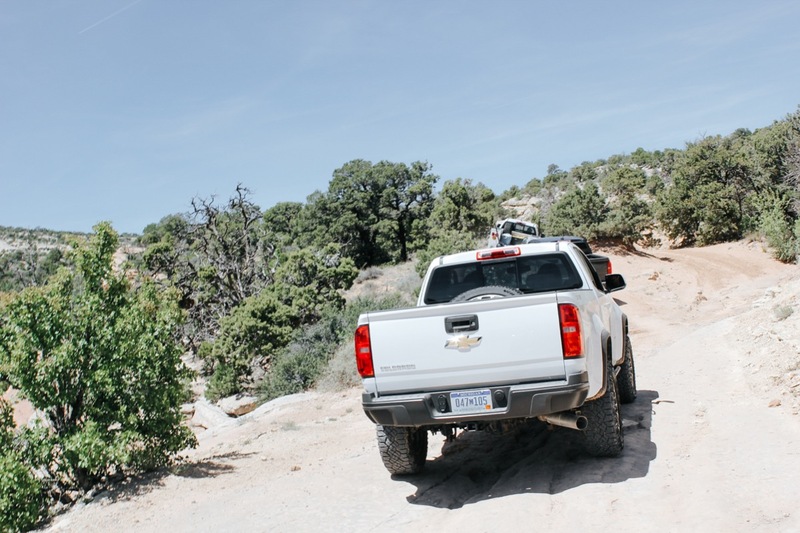 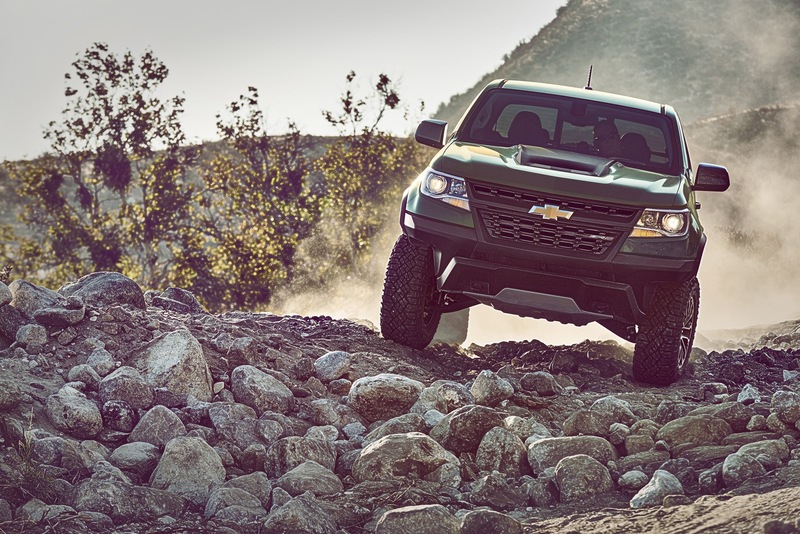 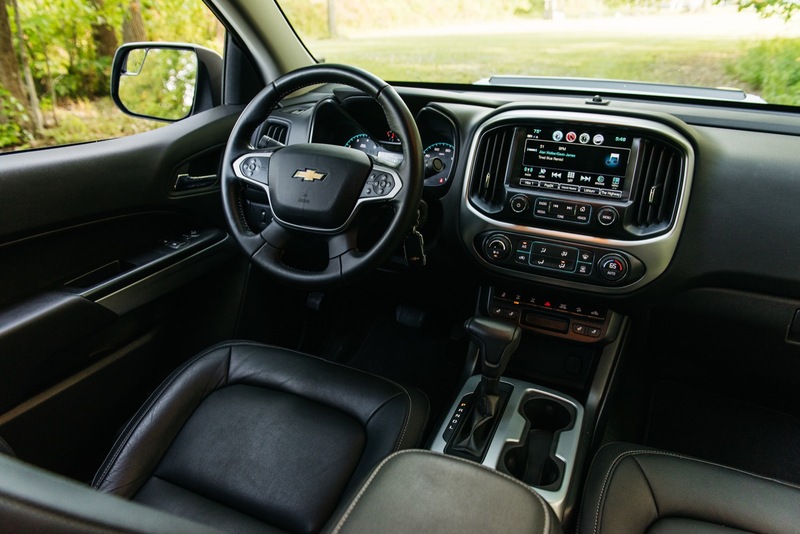 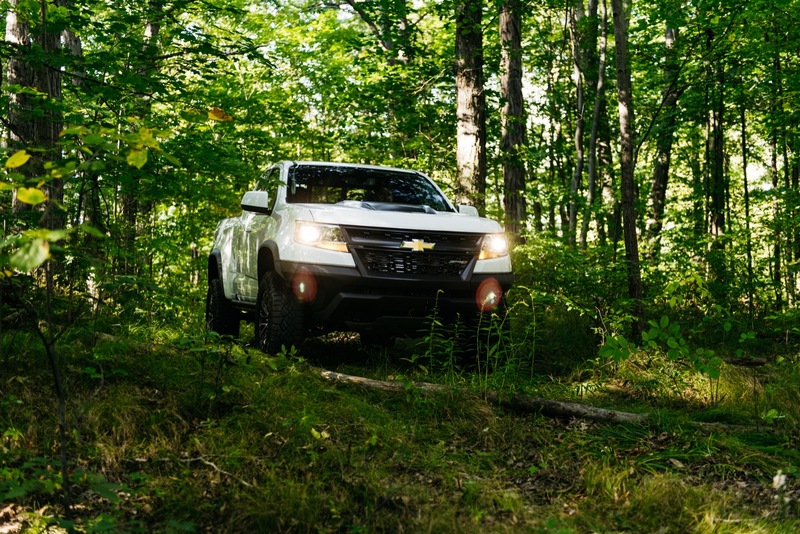 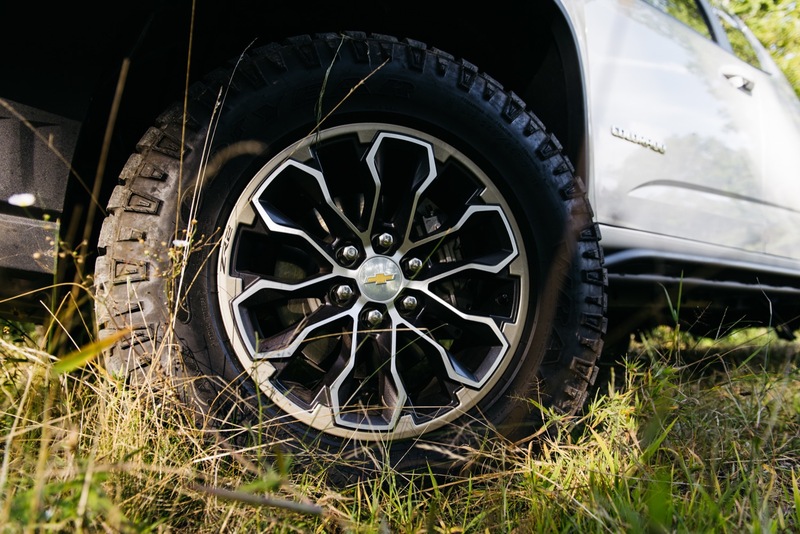 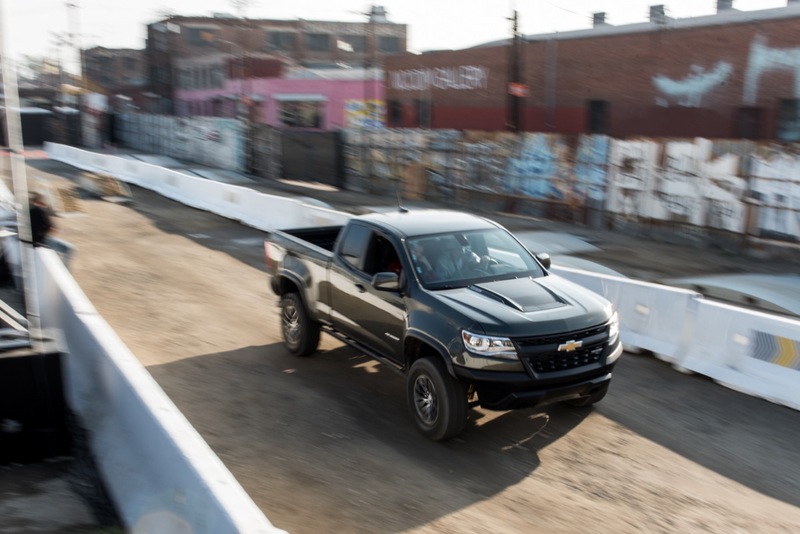 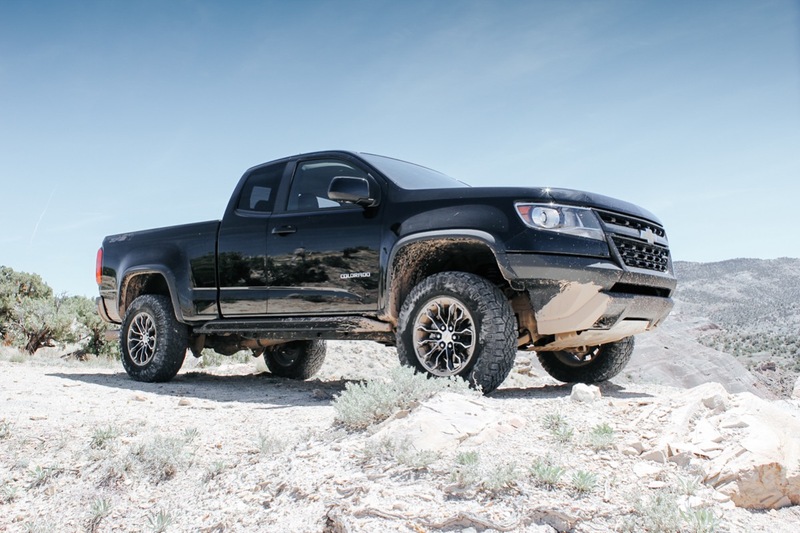 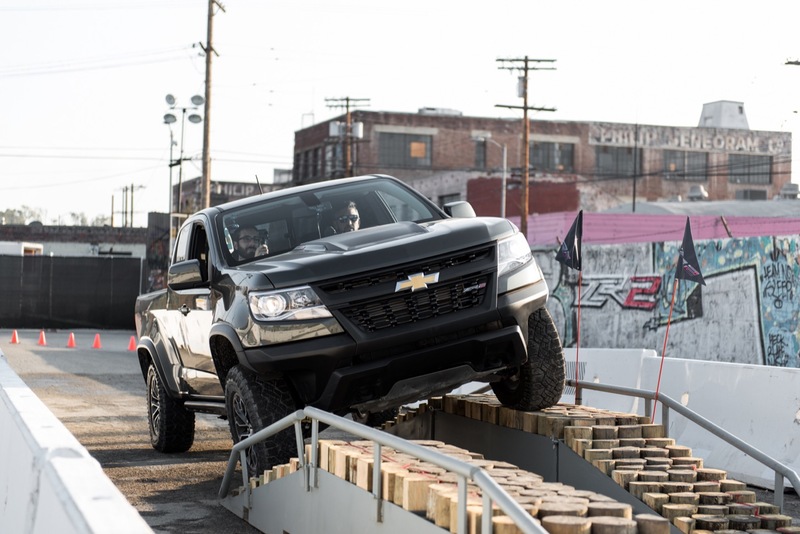 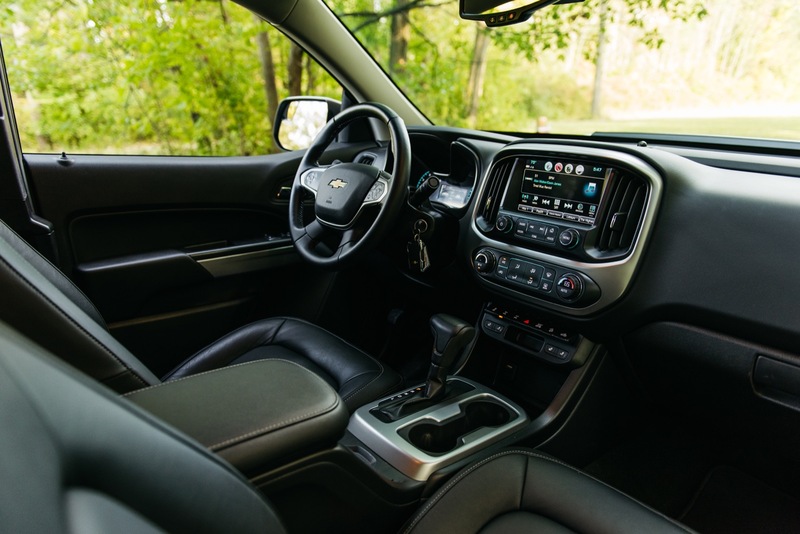 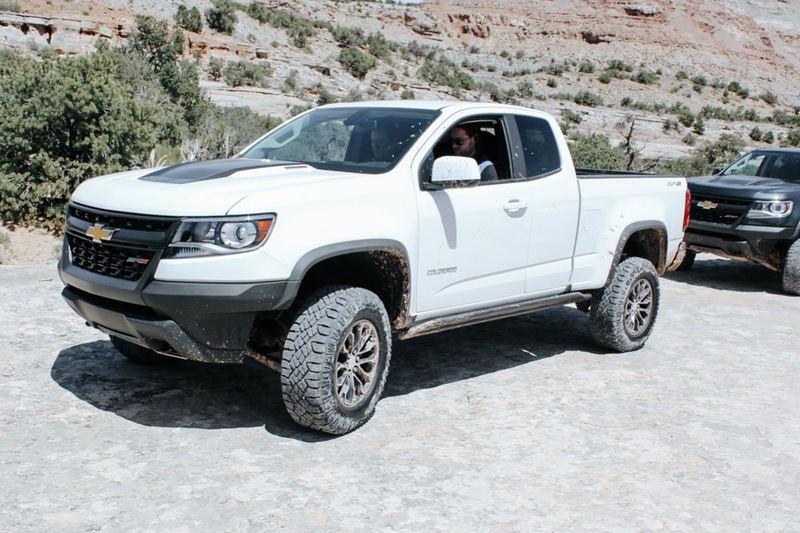 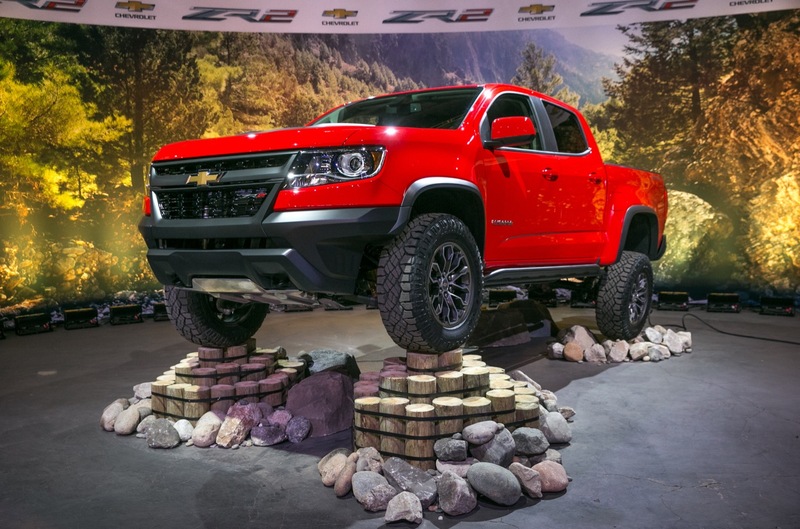 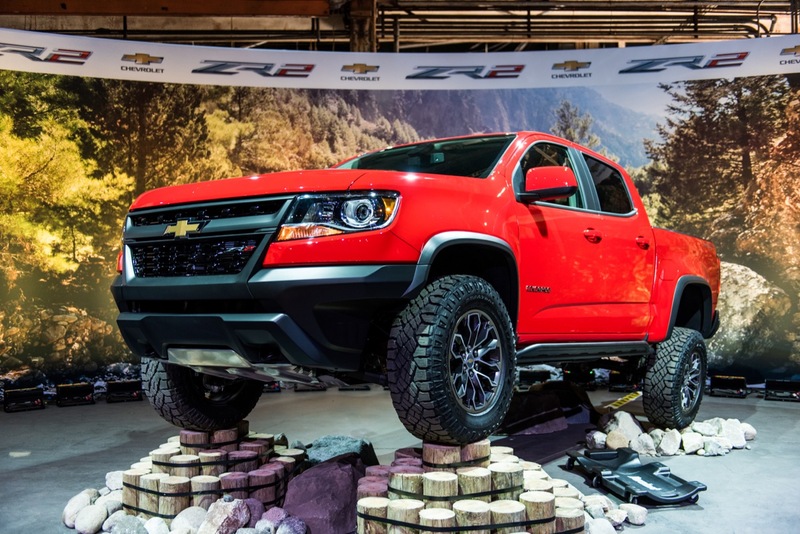 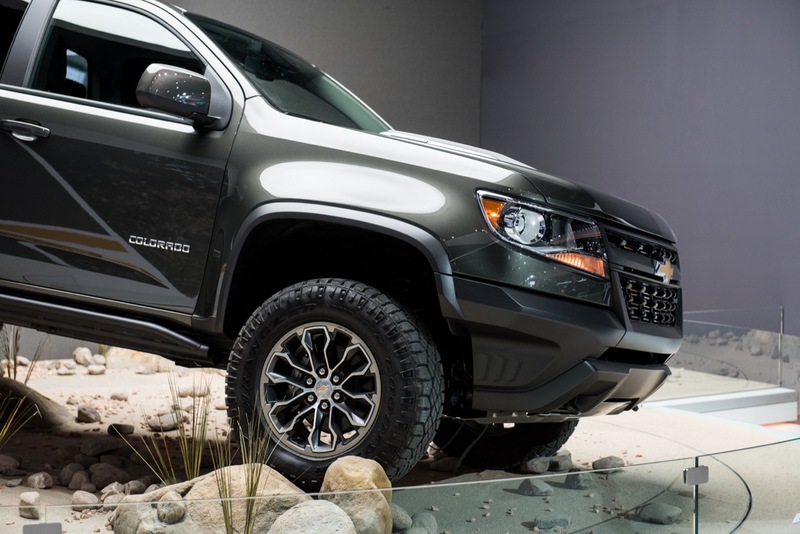 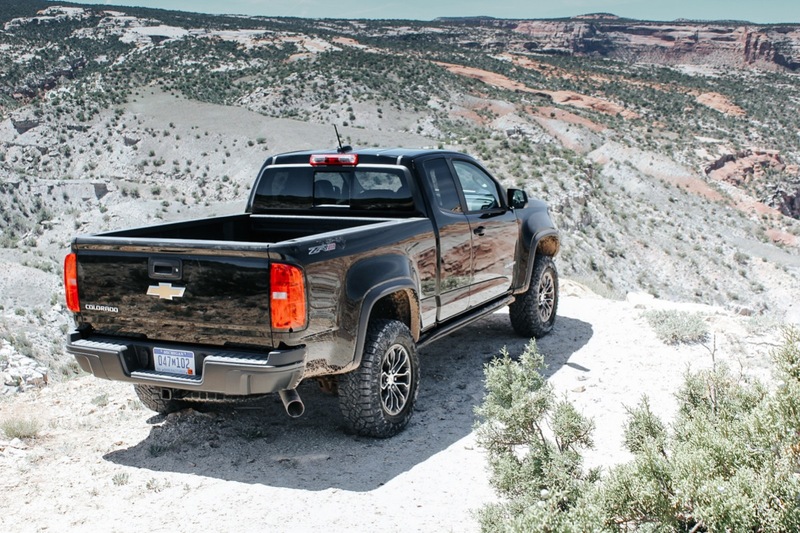 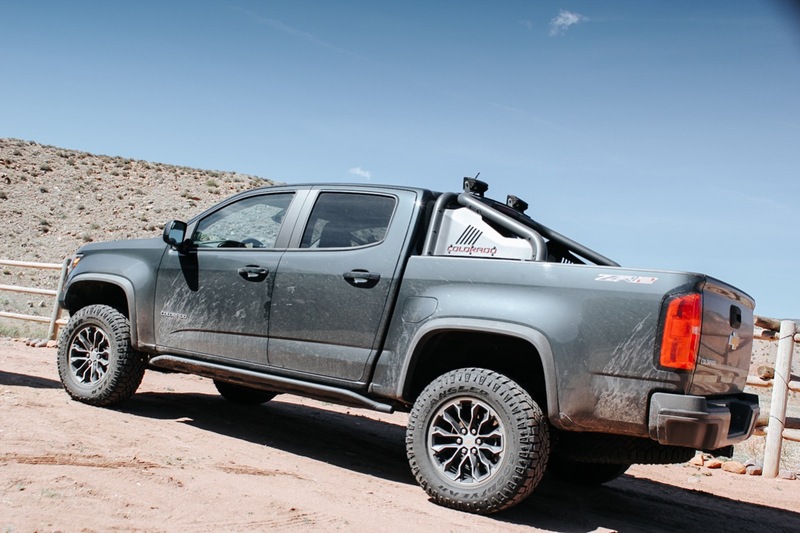 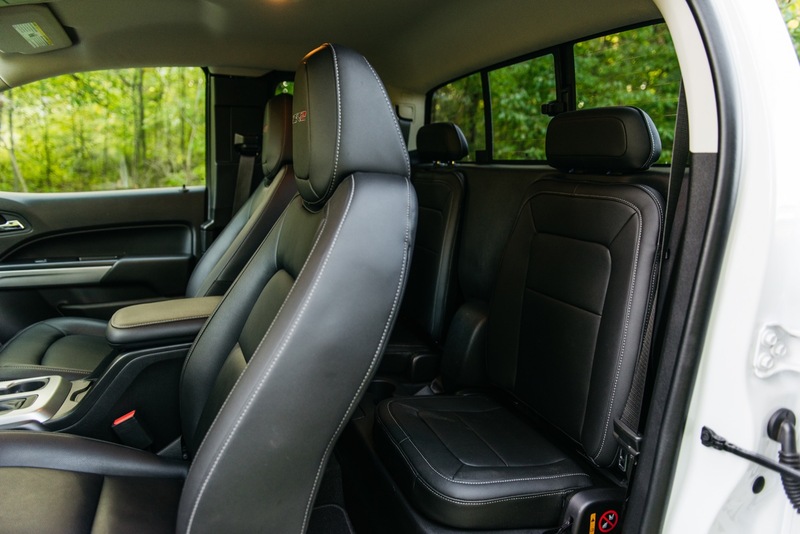 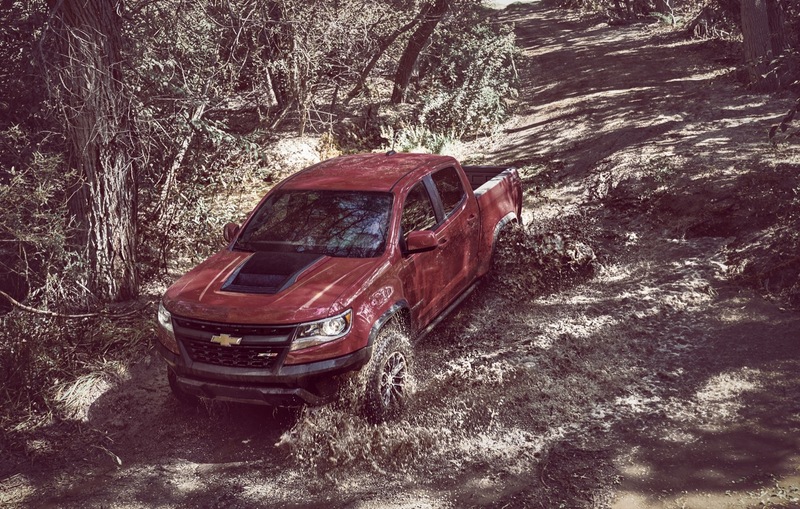 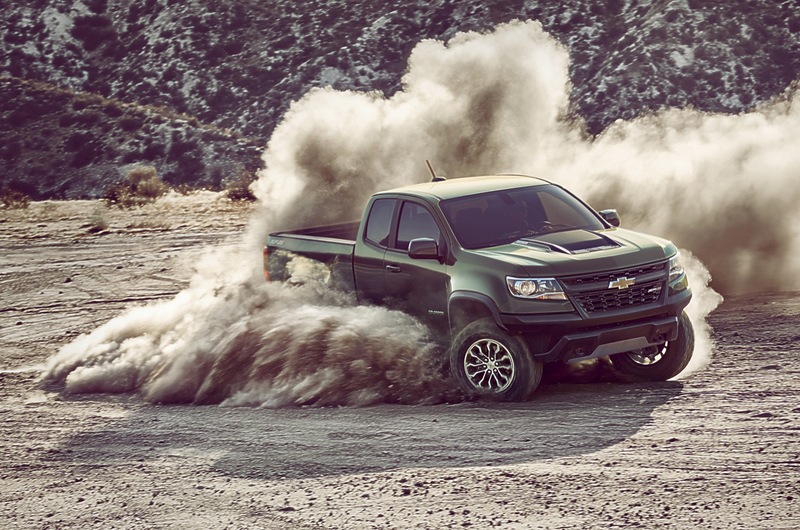 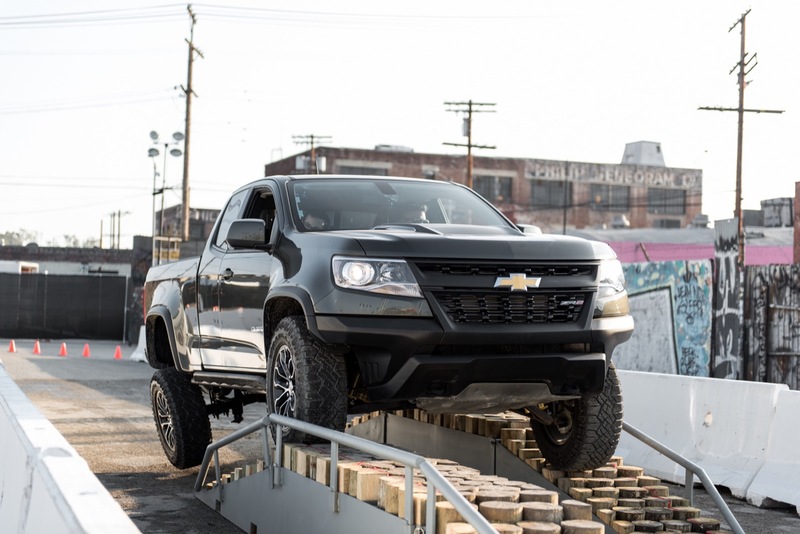 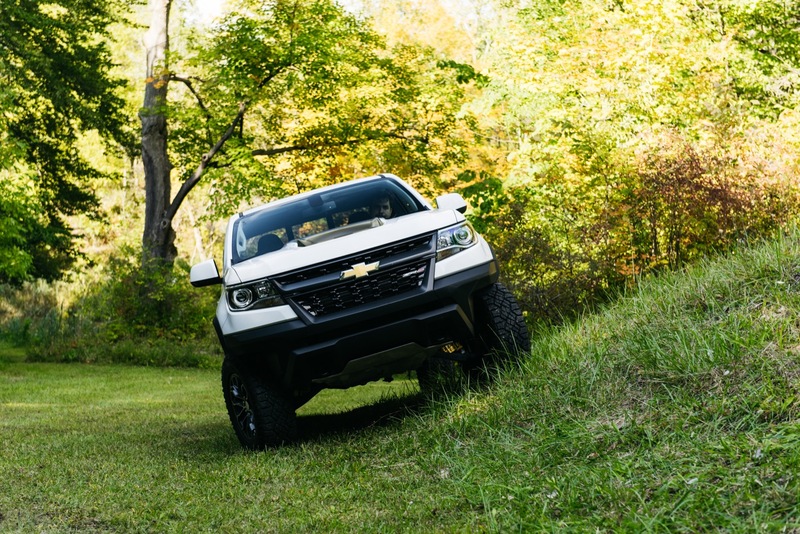 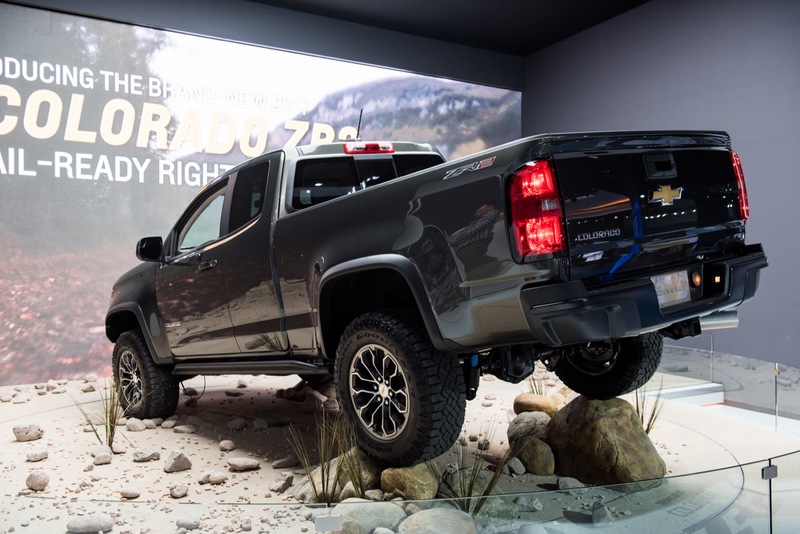 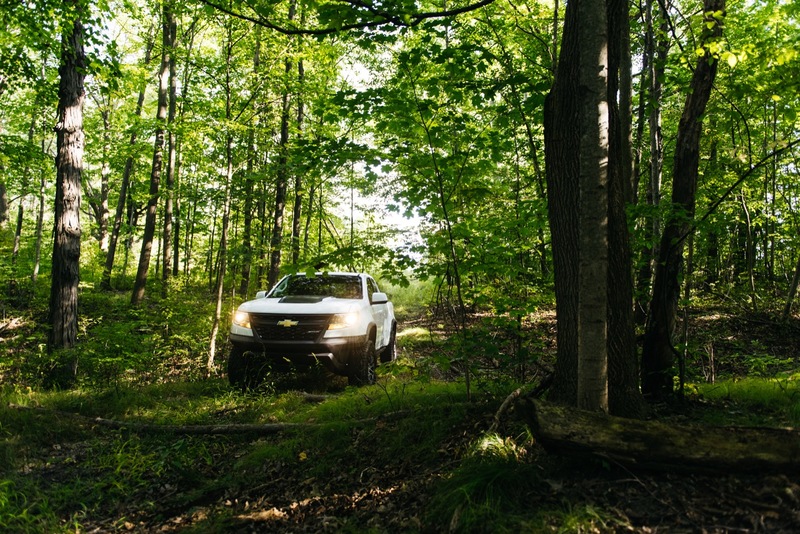 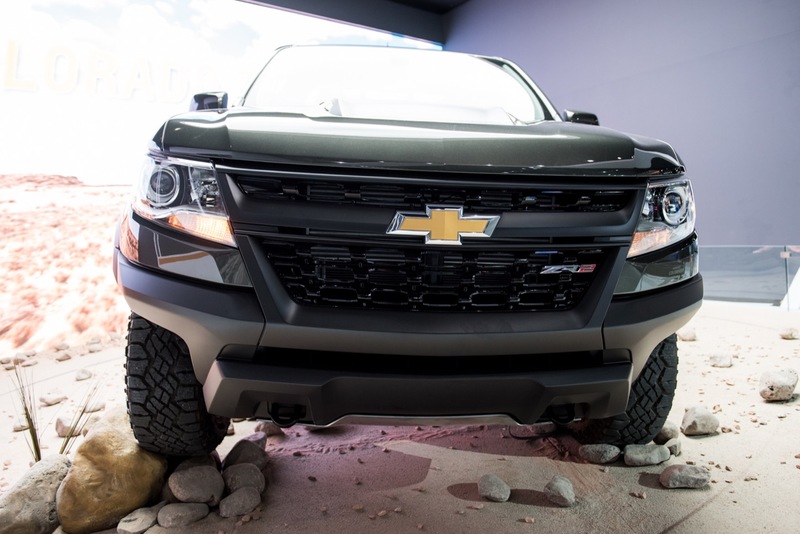 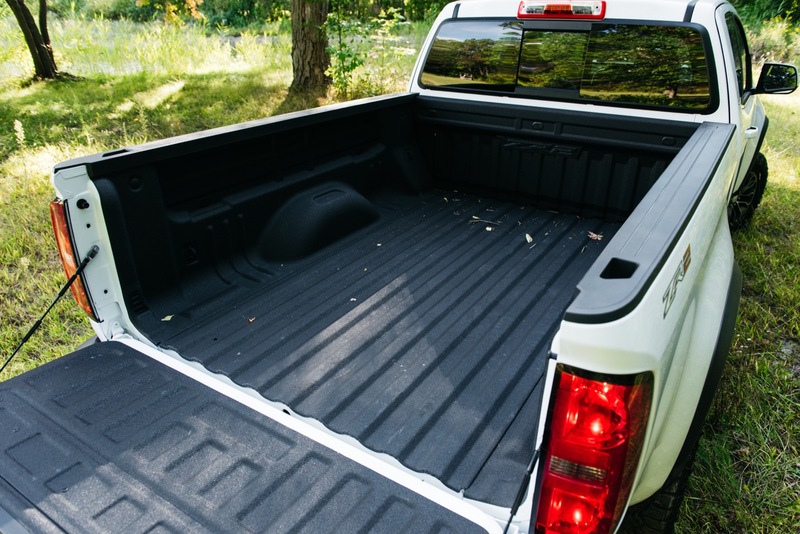 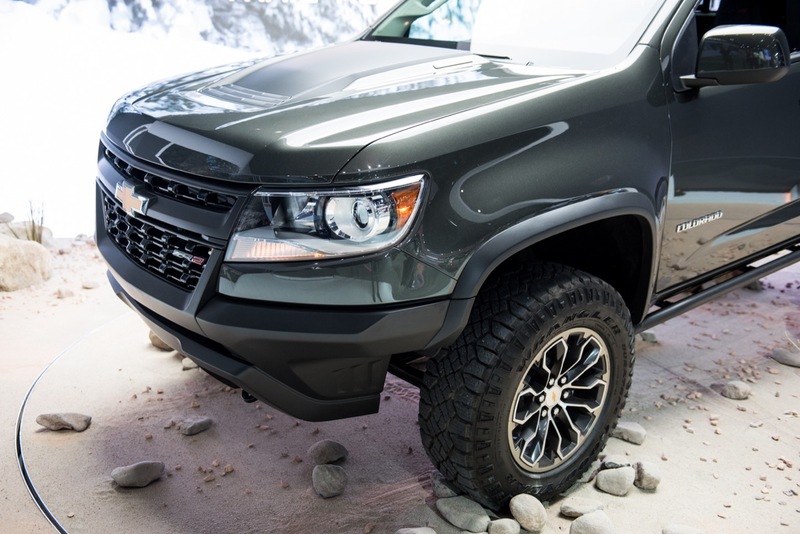 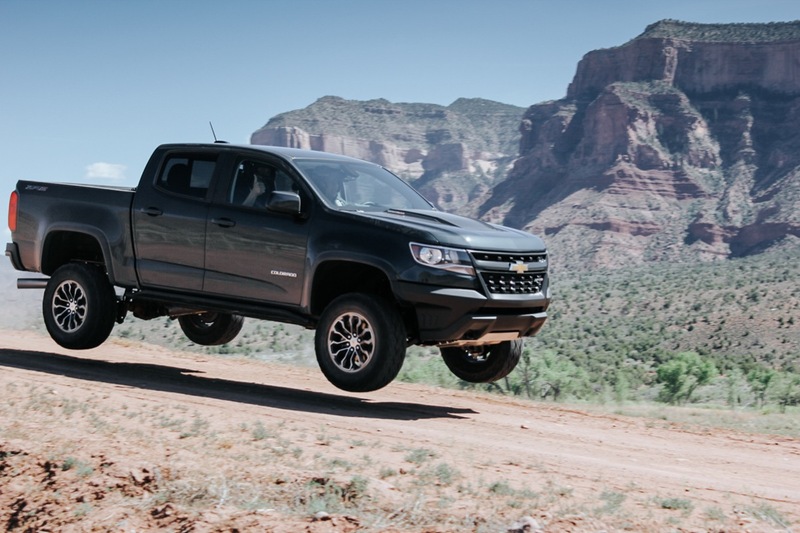 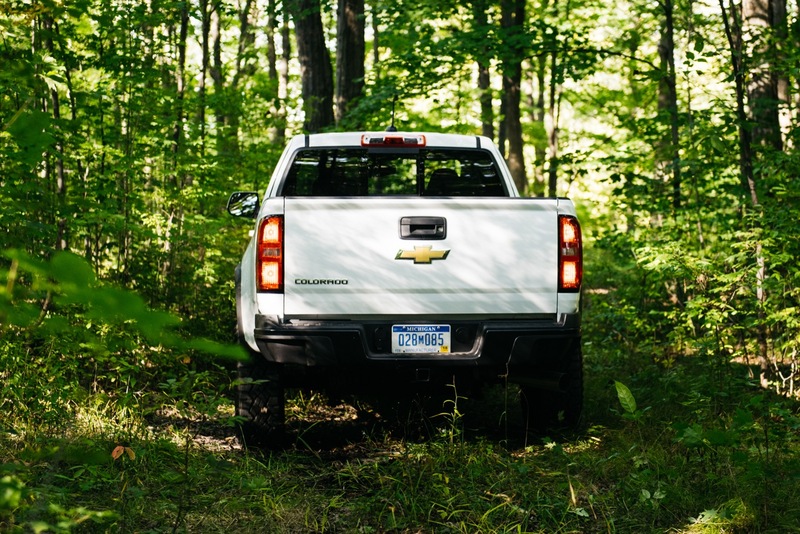 The Colorado ZR2 is the extreme off-road variant of the 2018 Chevrolet Colorado midsize pickup truck that Chevrolet states not only resets the bar for mid-size trucks but also for off-road trucks in general. 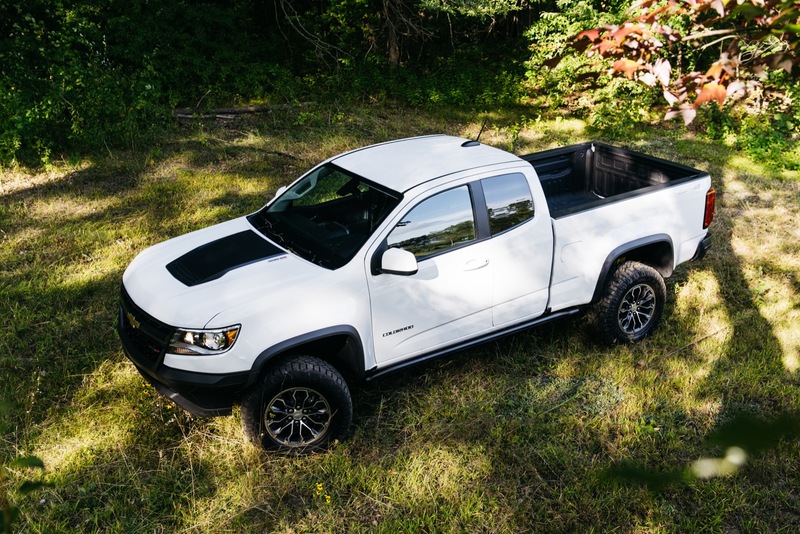 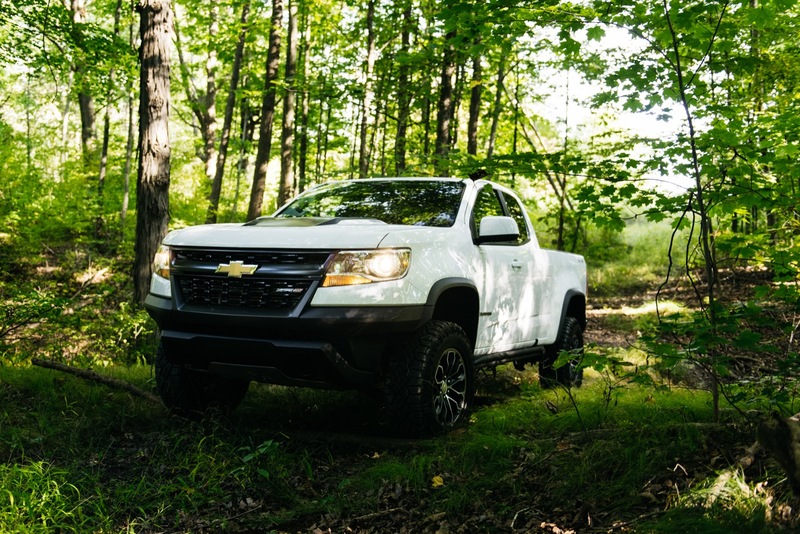 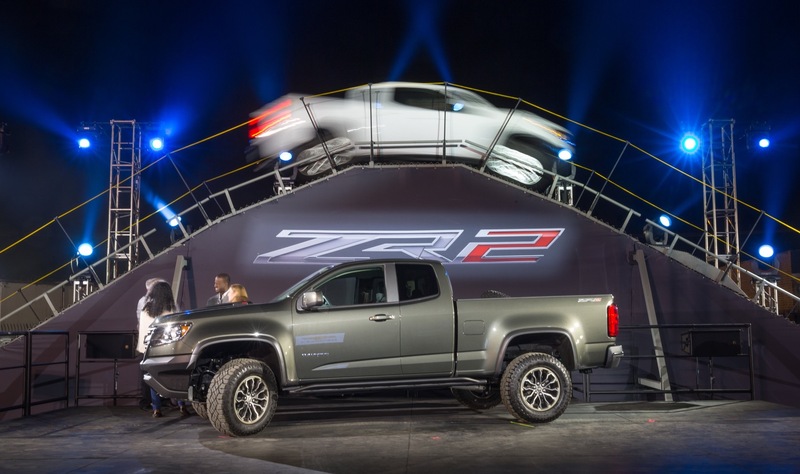 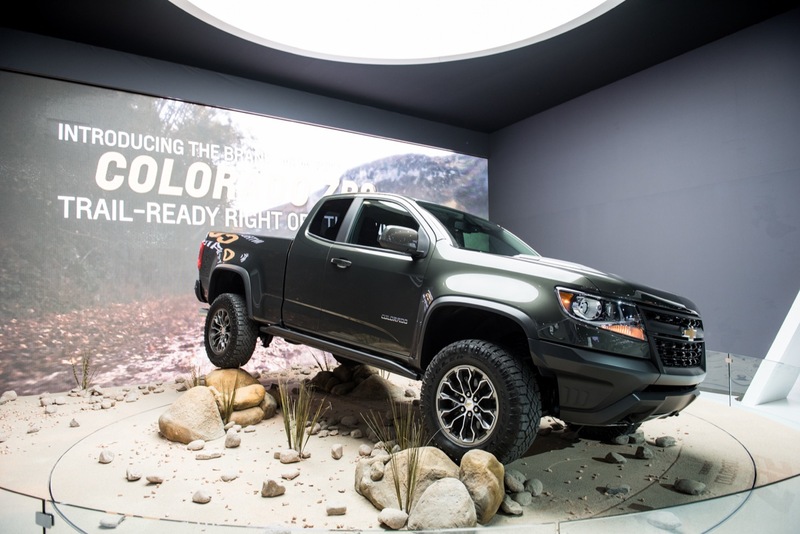 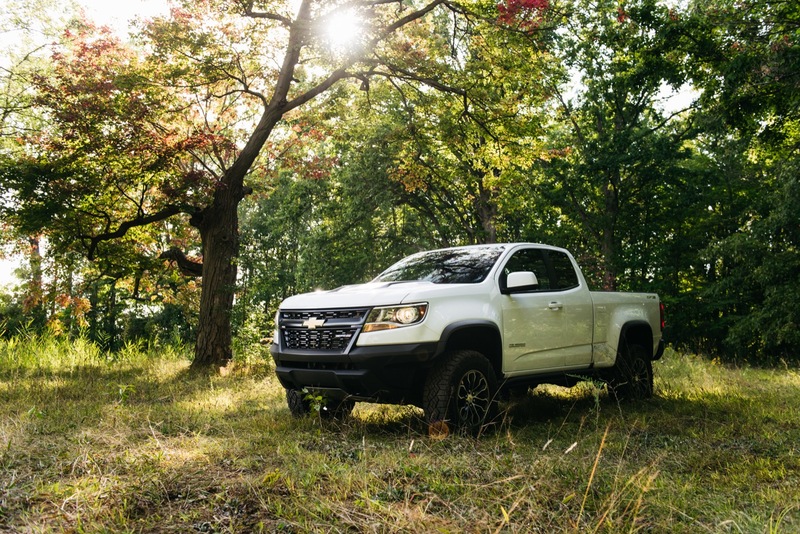 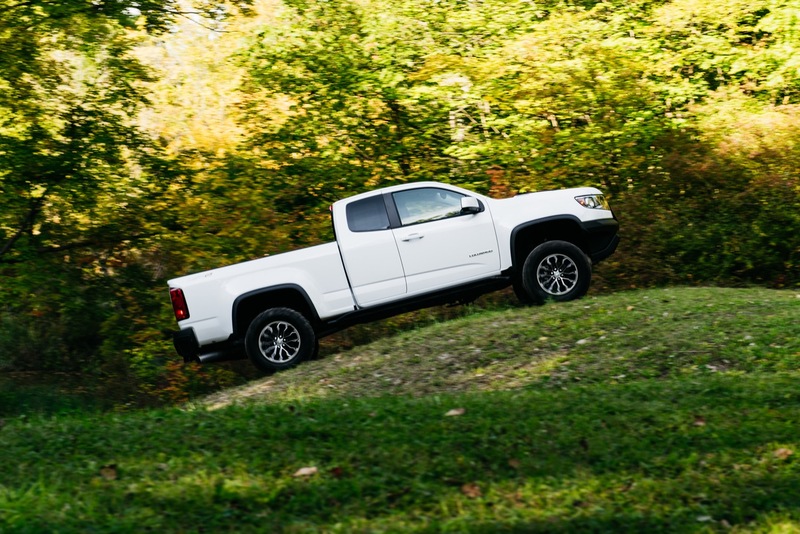 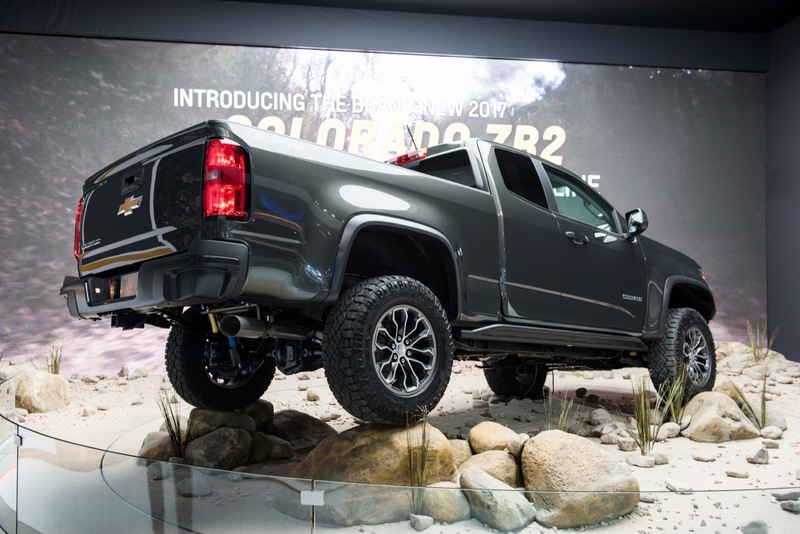 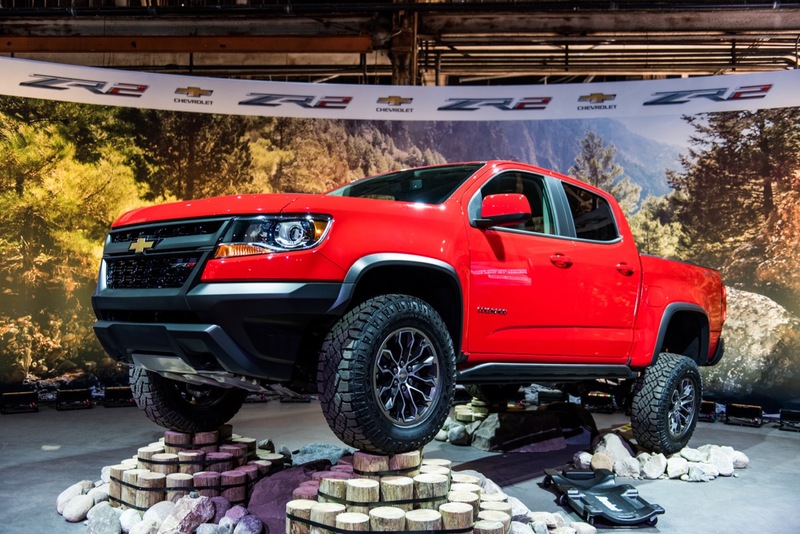 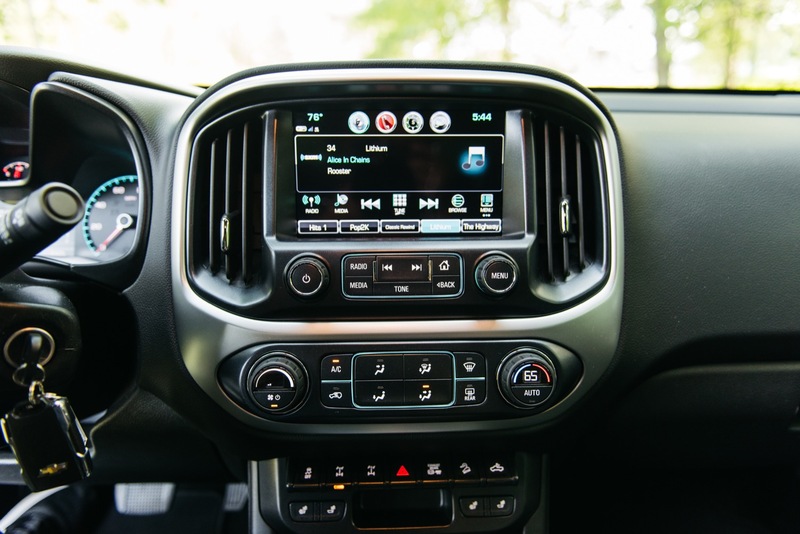 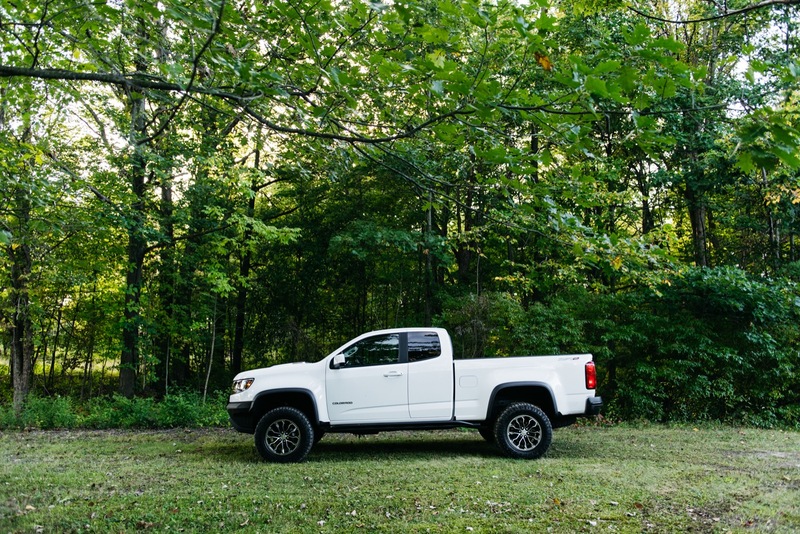 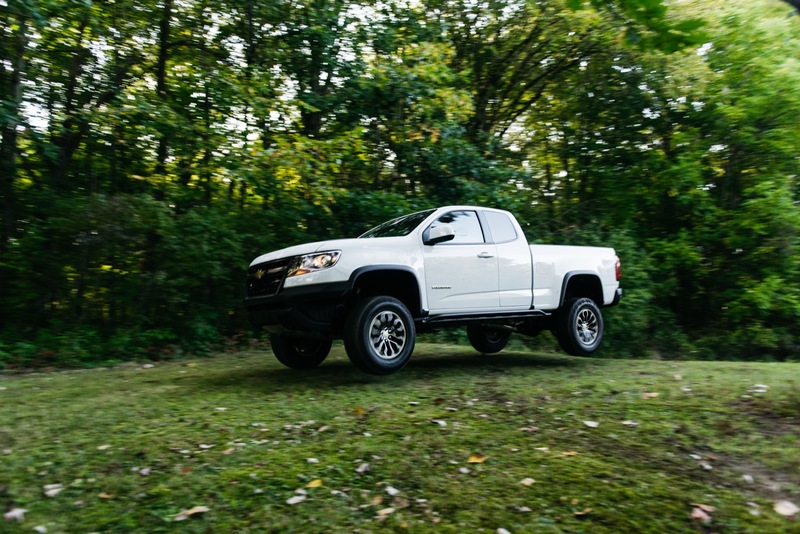 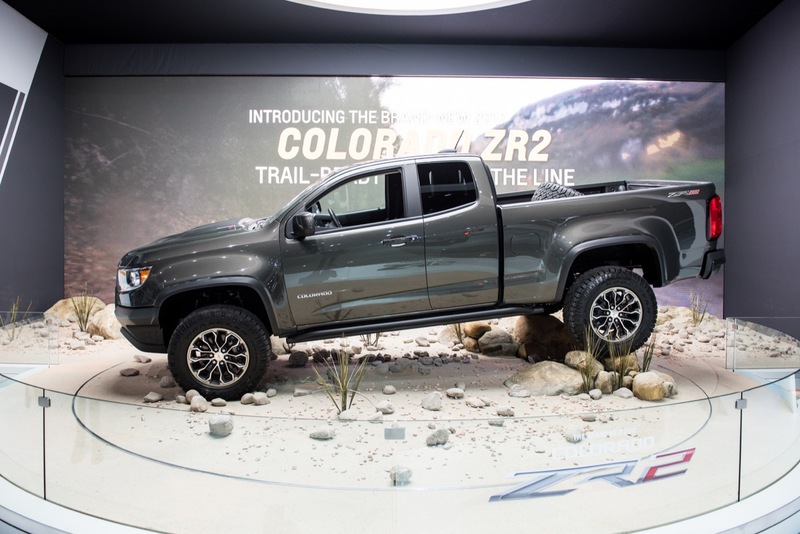 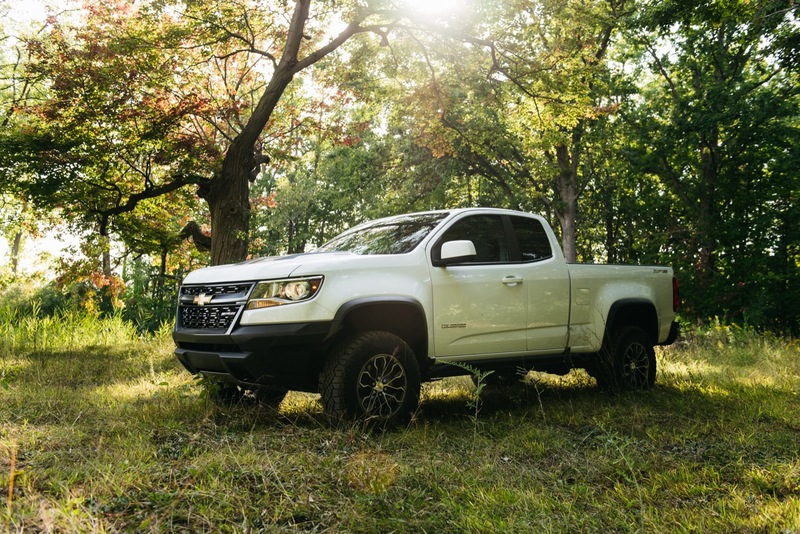 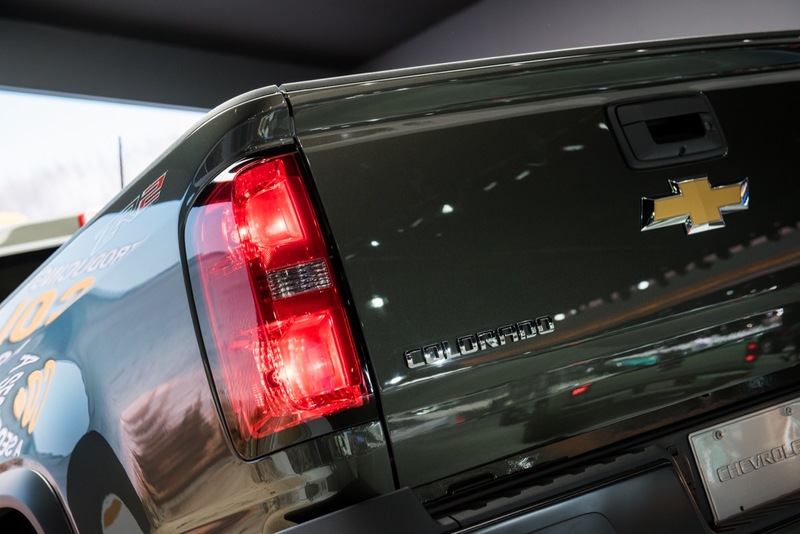 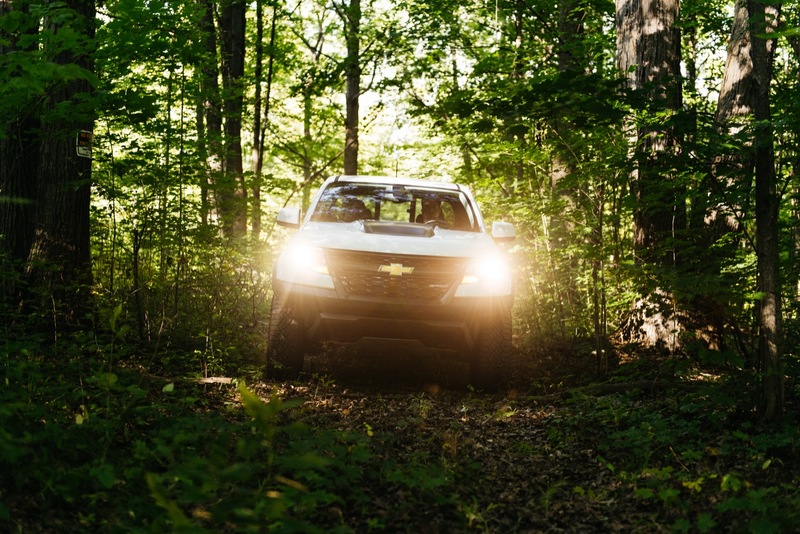 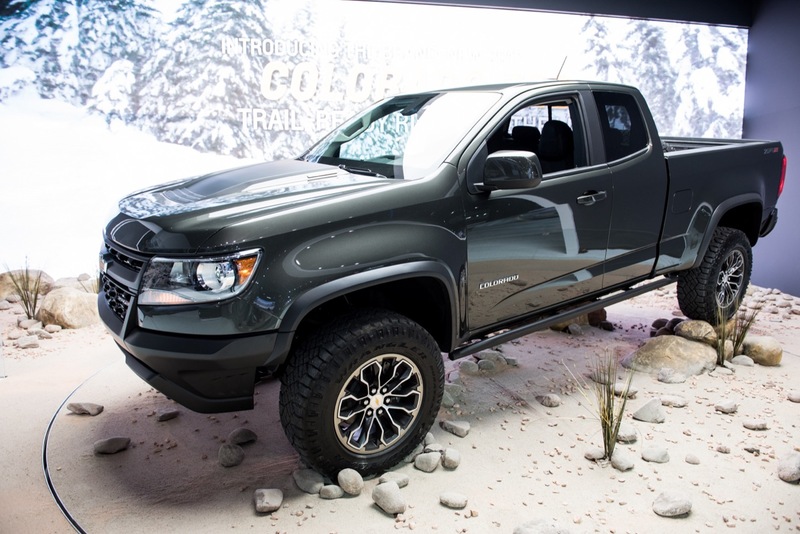 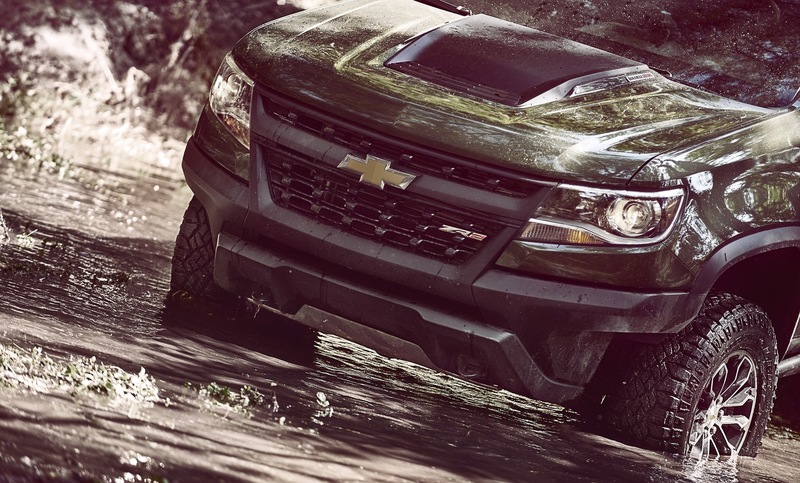 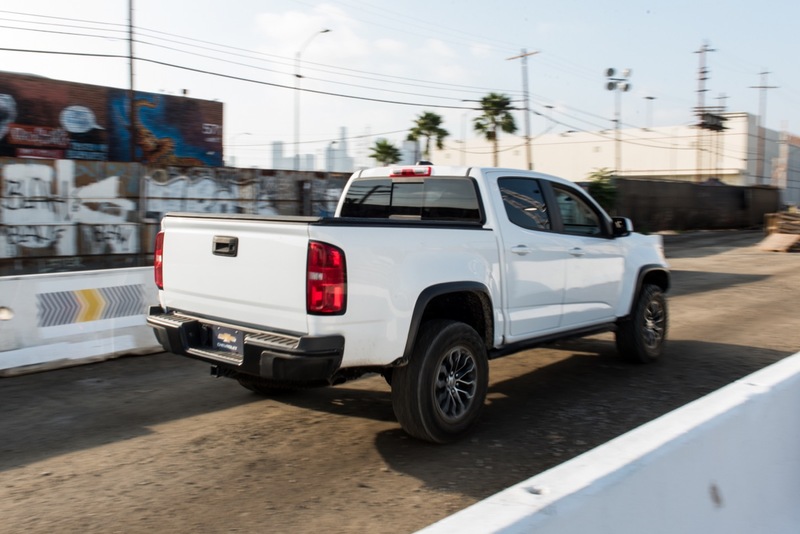 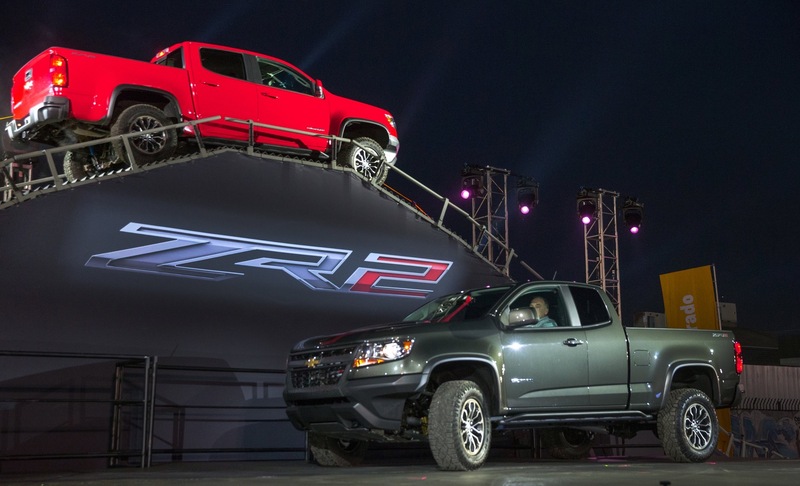 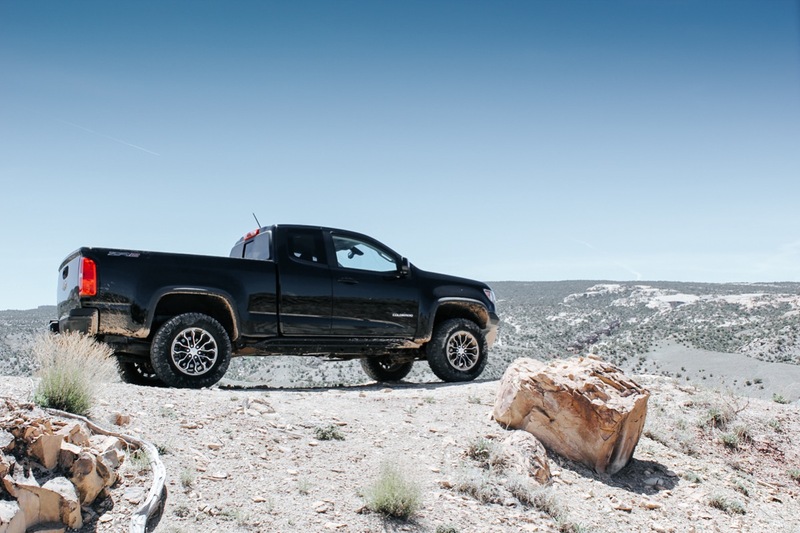 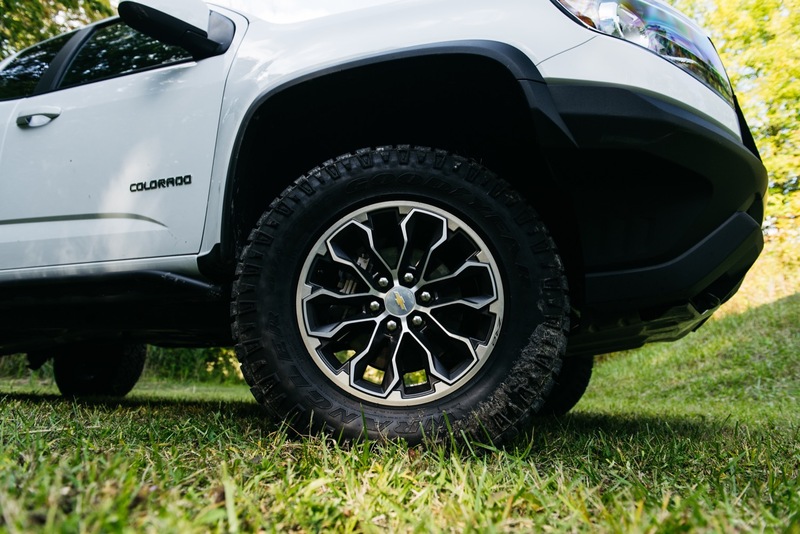 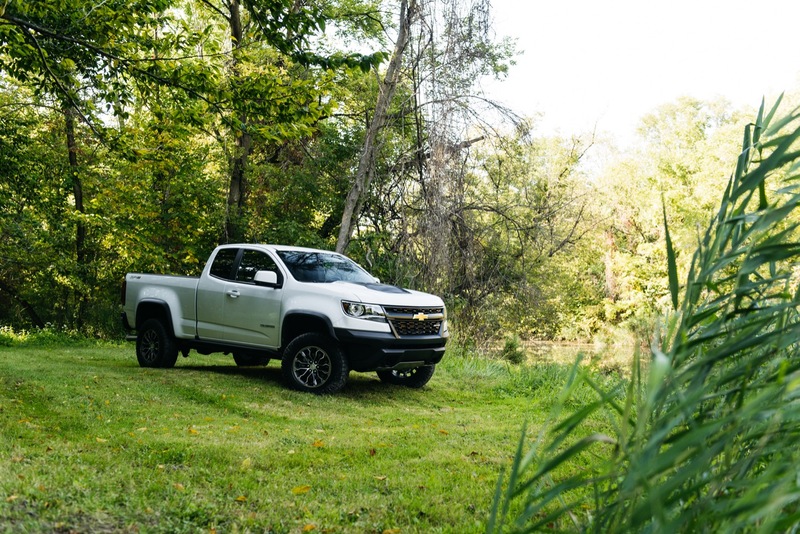 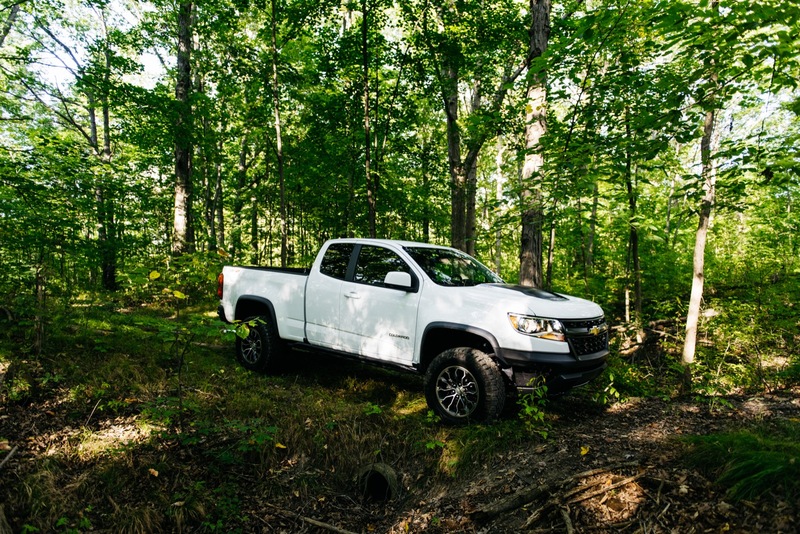 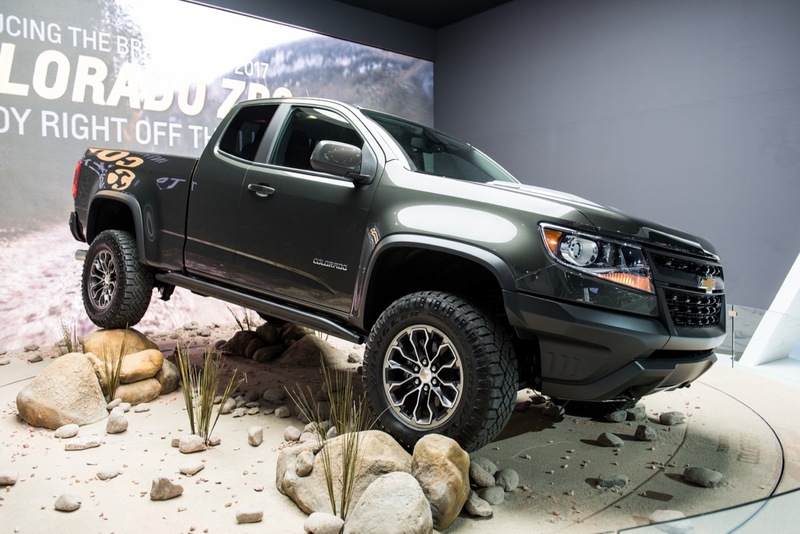 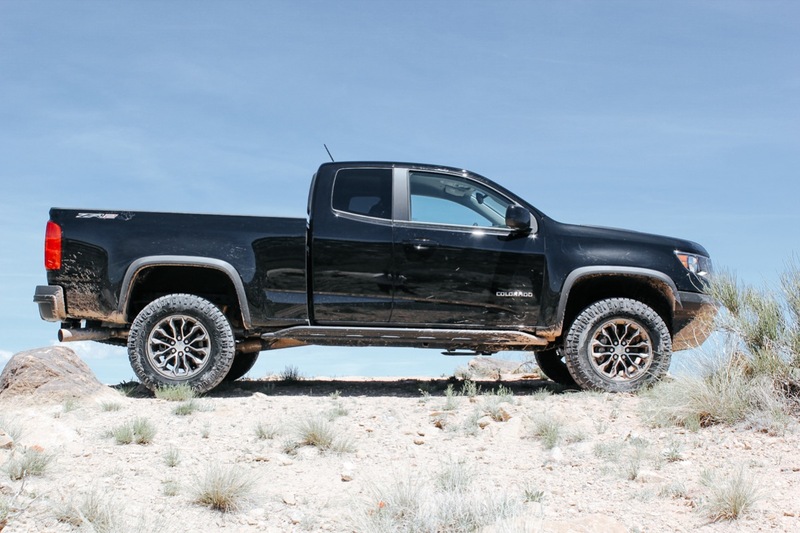 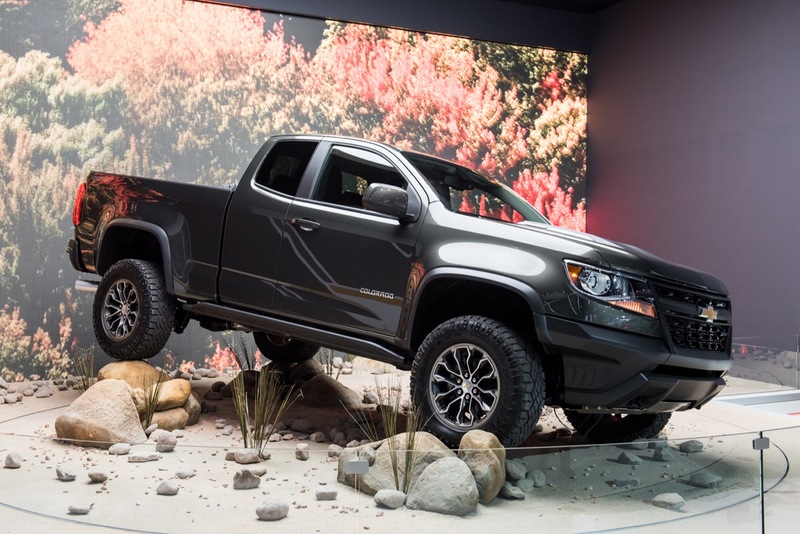 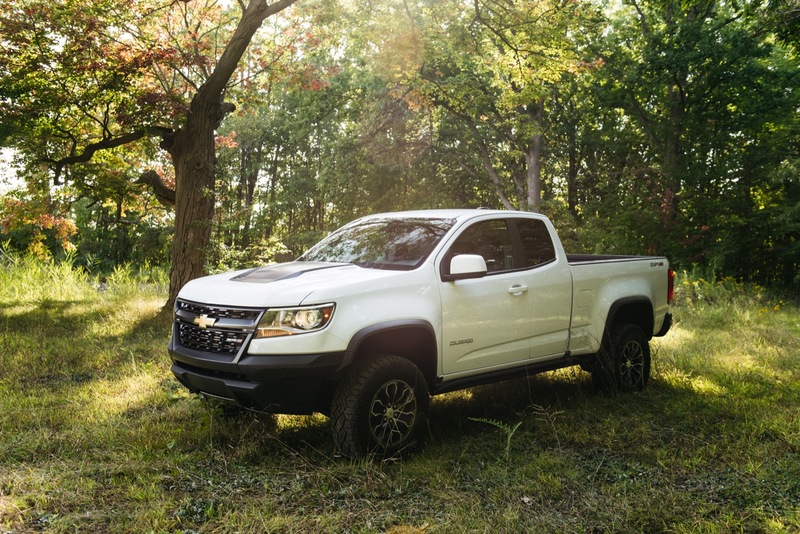 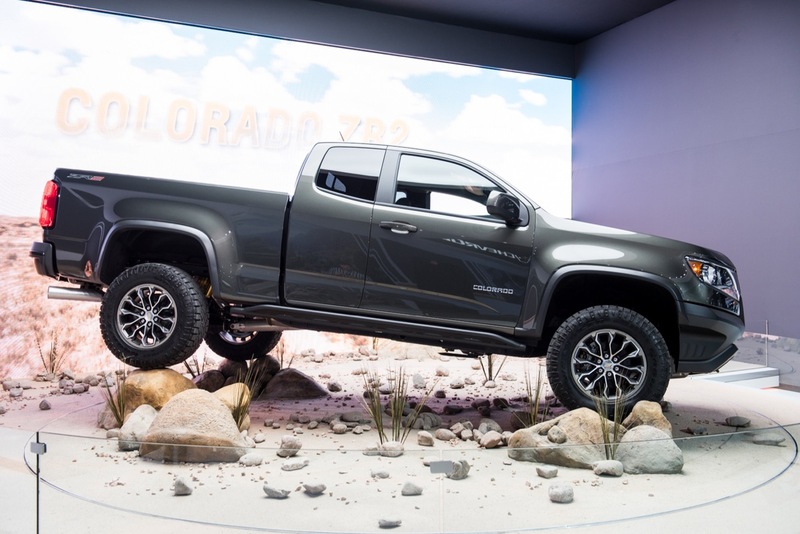 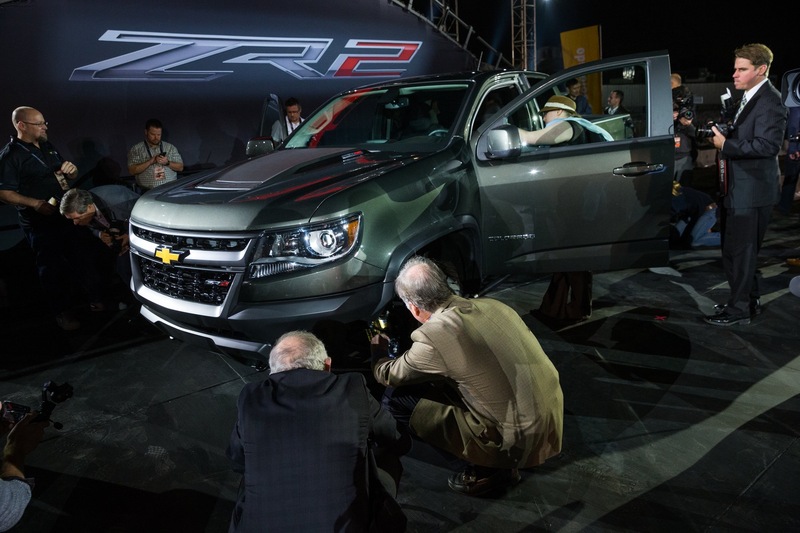 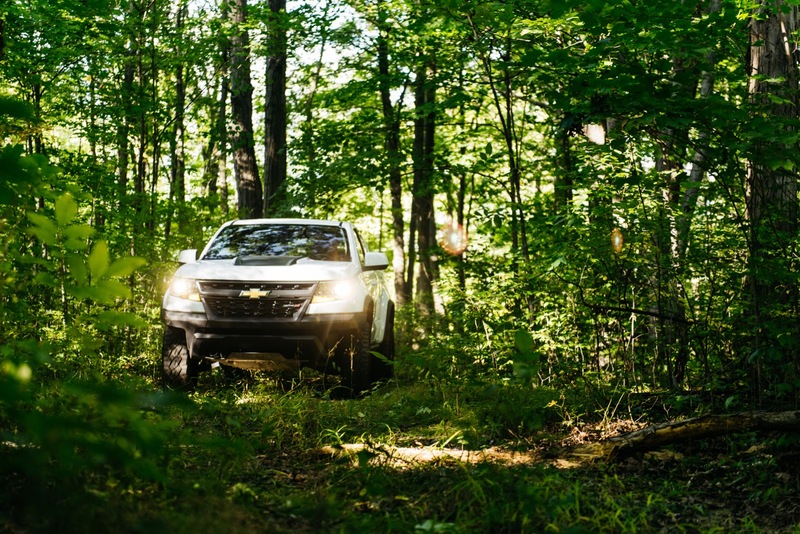 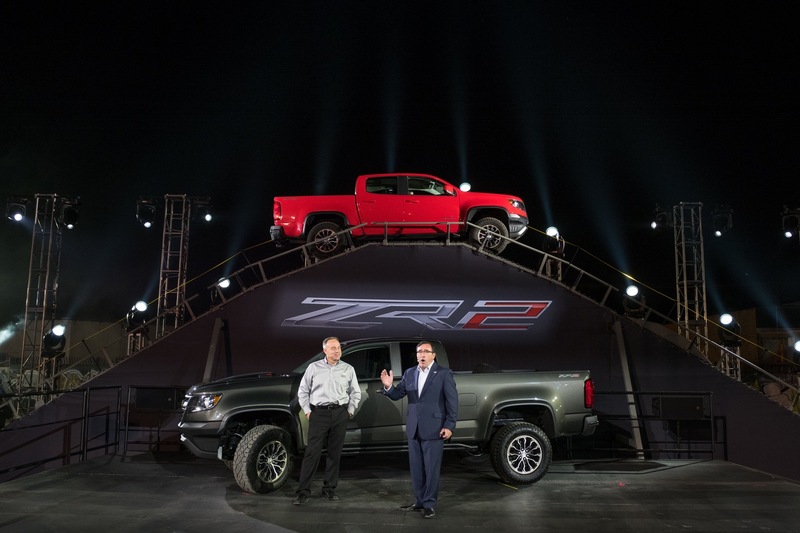 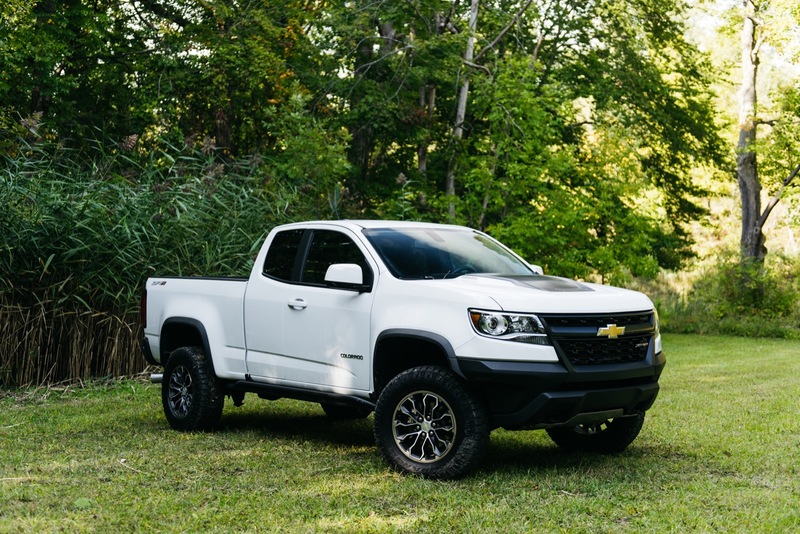 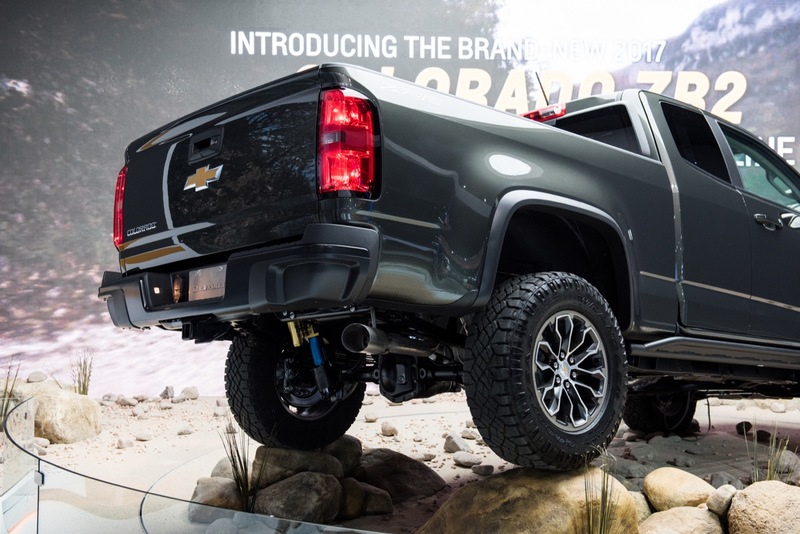 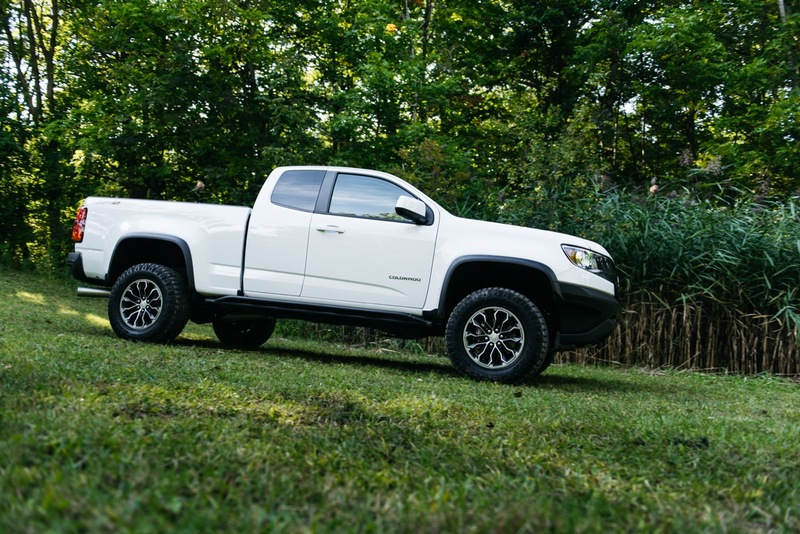 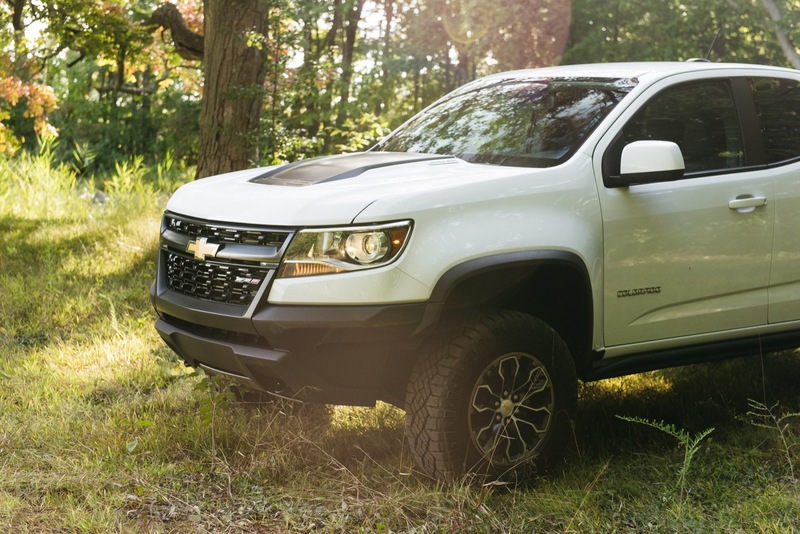 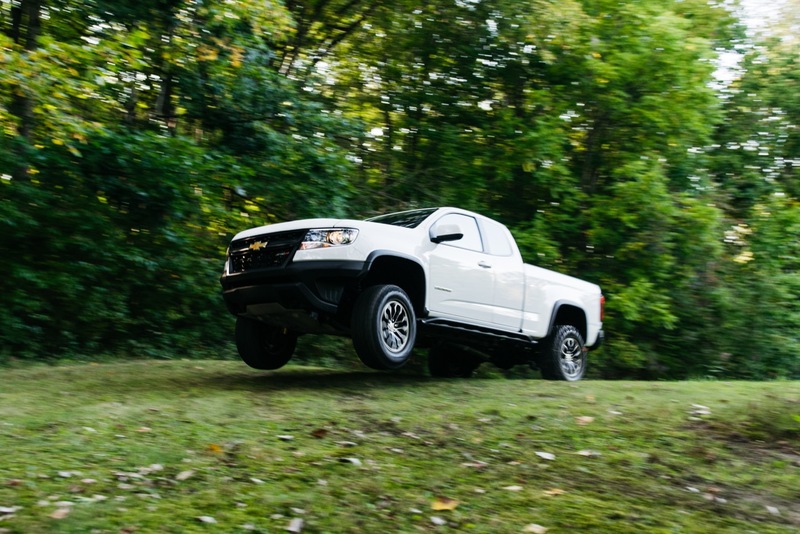 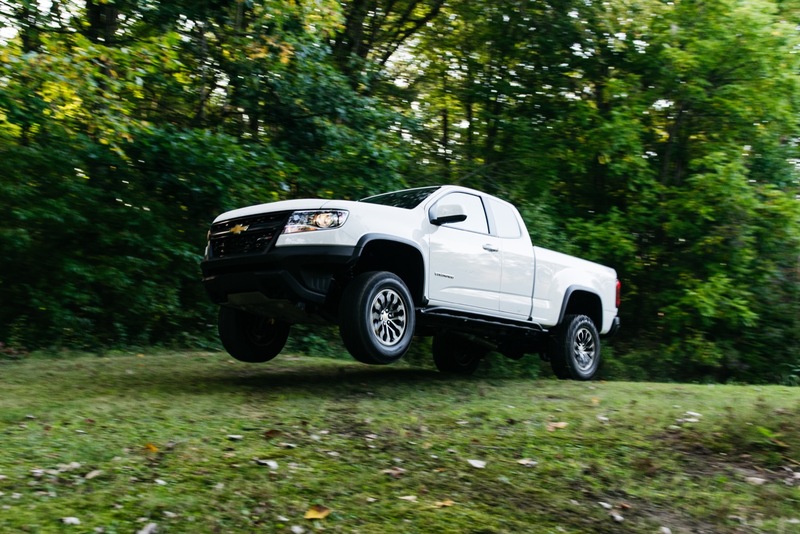 The 2018 model year represents the second year of production of the Colorado ZR2. 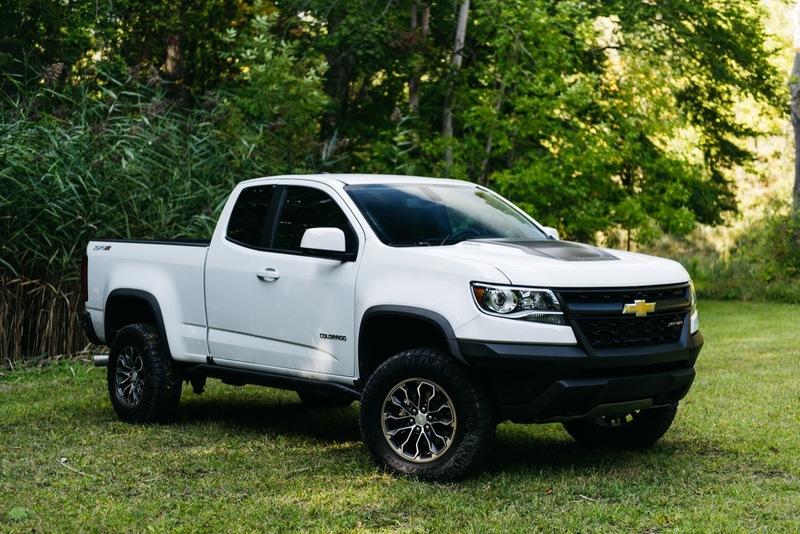 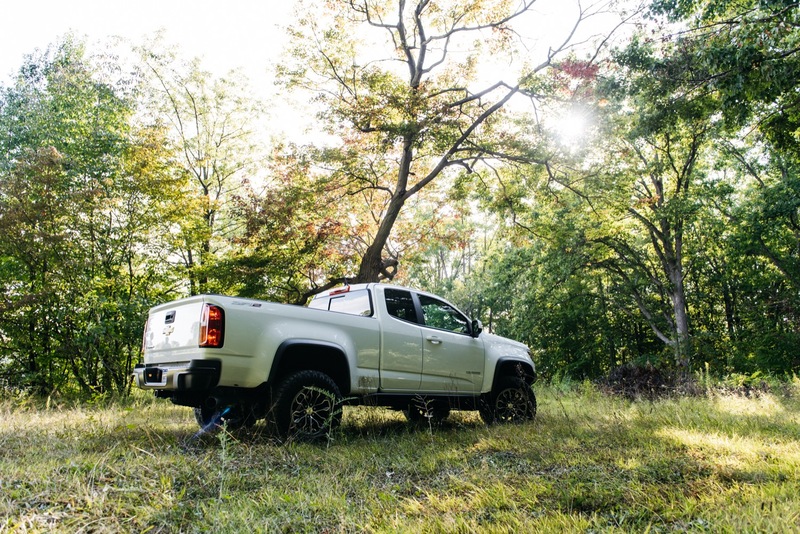 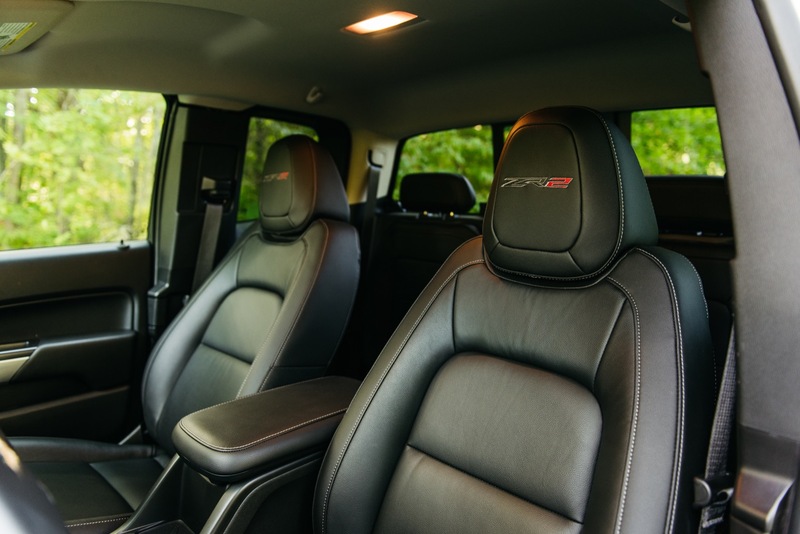 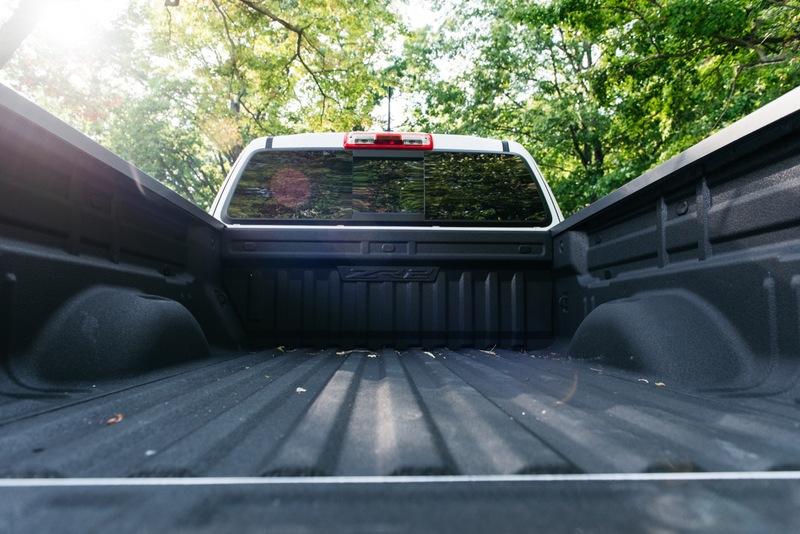 The only changes to the 2018 ZR2 include the addition of the Colorado ZR2 Midnight and Colorado Dusk Special Edition models (see links below). 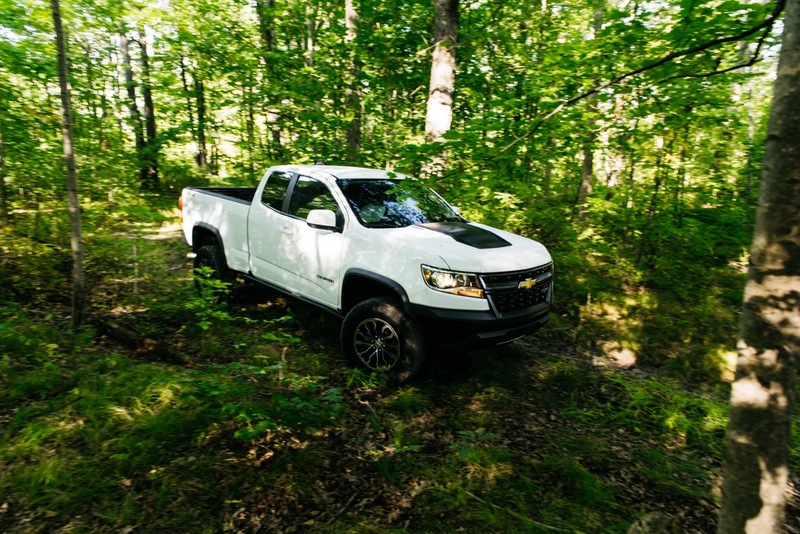 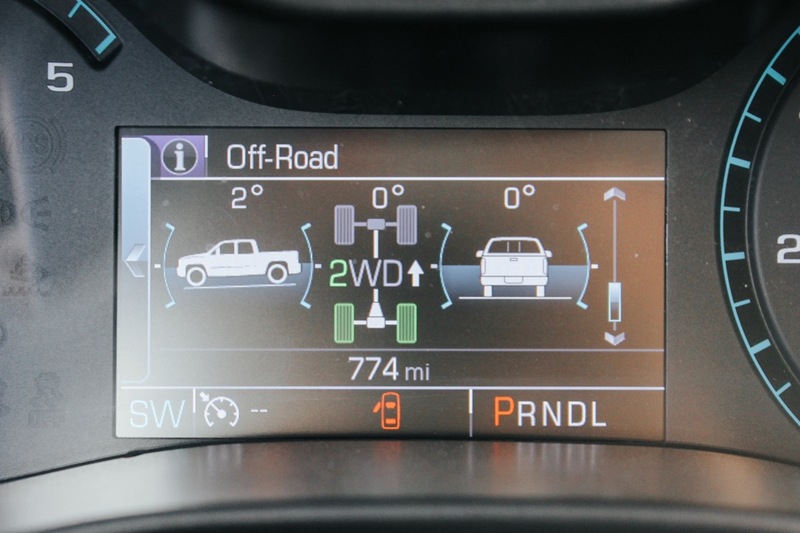 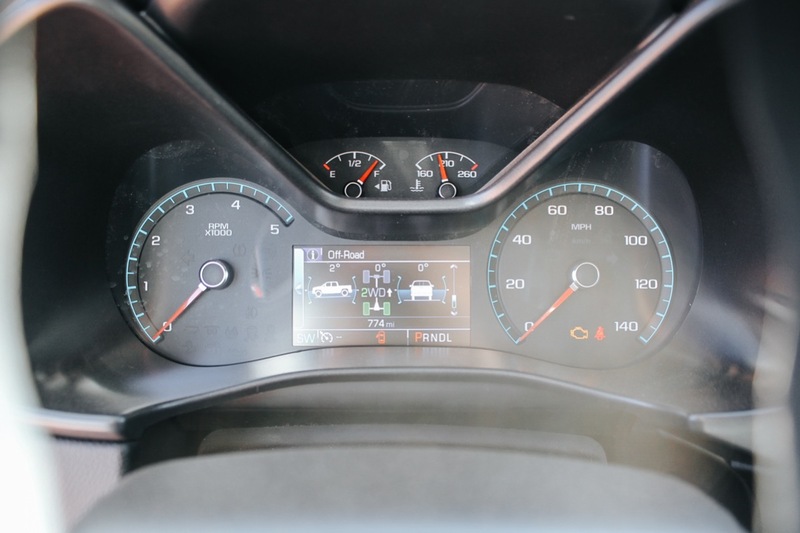 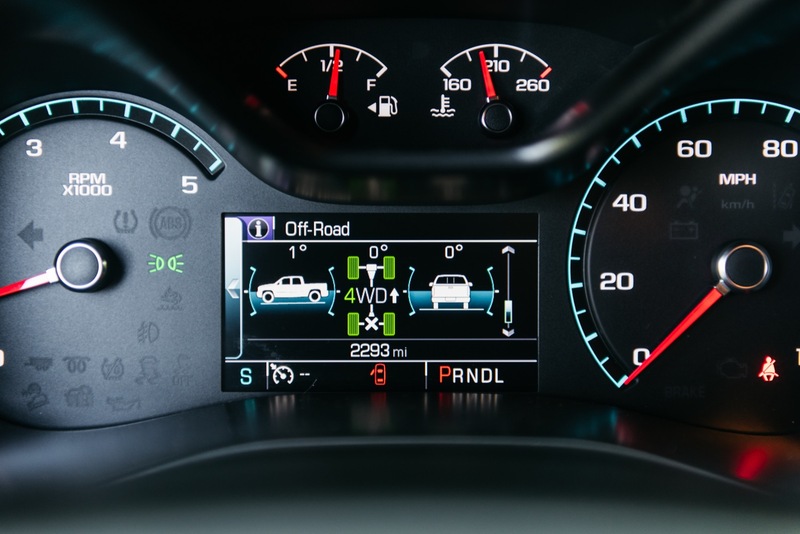 Chevrolet characterizes the Colorado ZR2 as being “a segment of one” thanks to a unique combination of nimbleness and maneuverability of a mid-size pickup with a wide assortment of new off-road features and the most off-road technology of any vehicle in its segment. 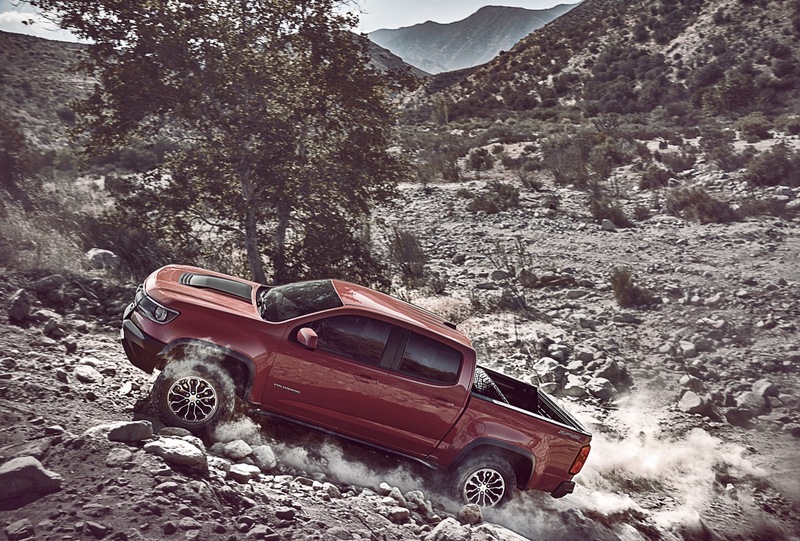 The result is exceptional performance in a variety of scenarios – from technical rock crawling to tight two-track trails to high-speed desert running to daily driving. 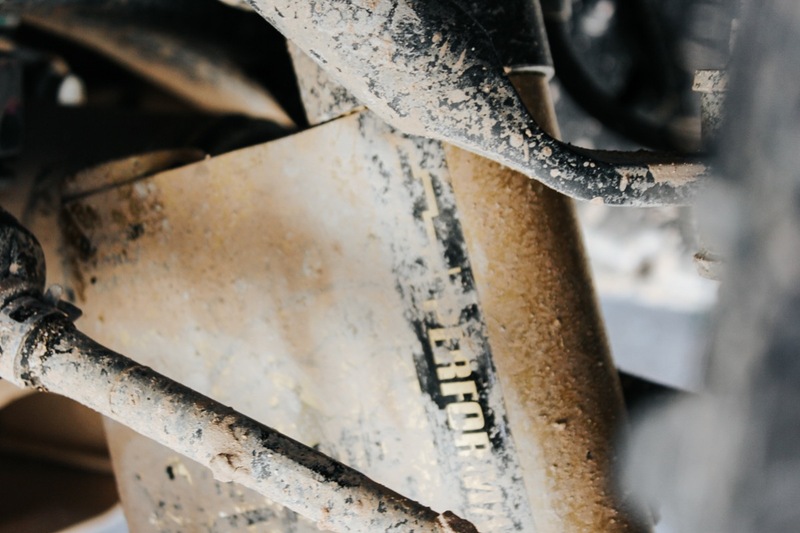 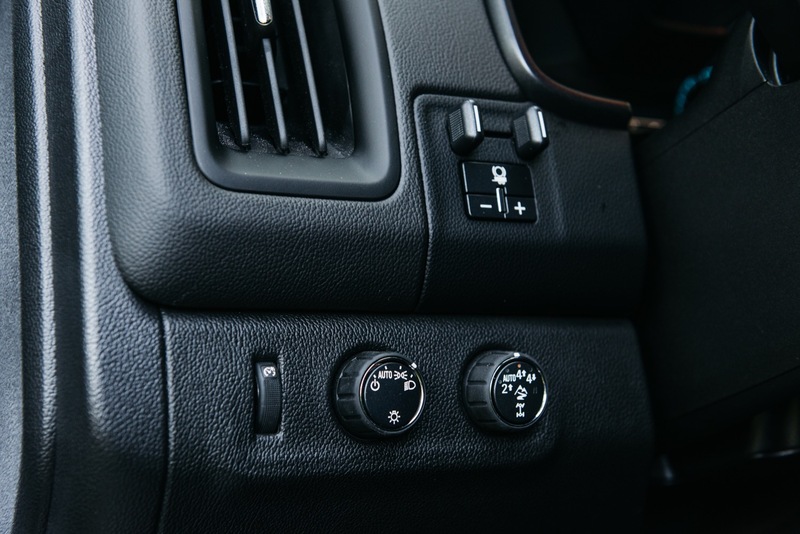 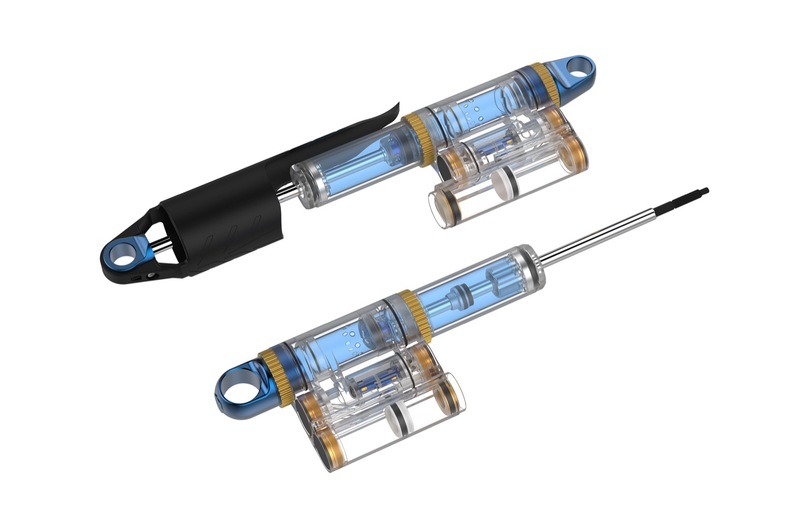 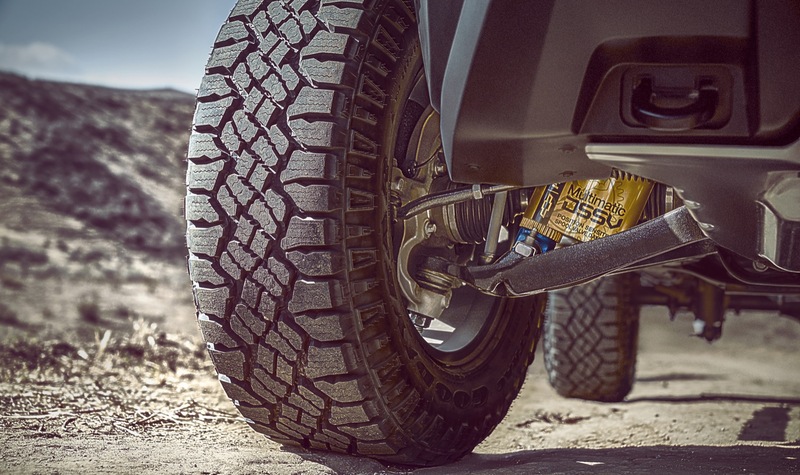 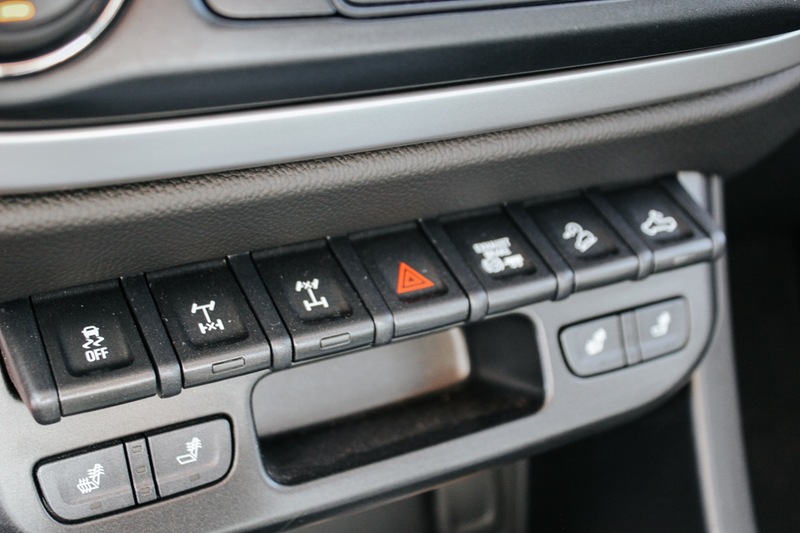 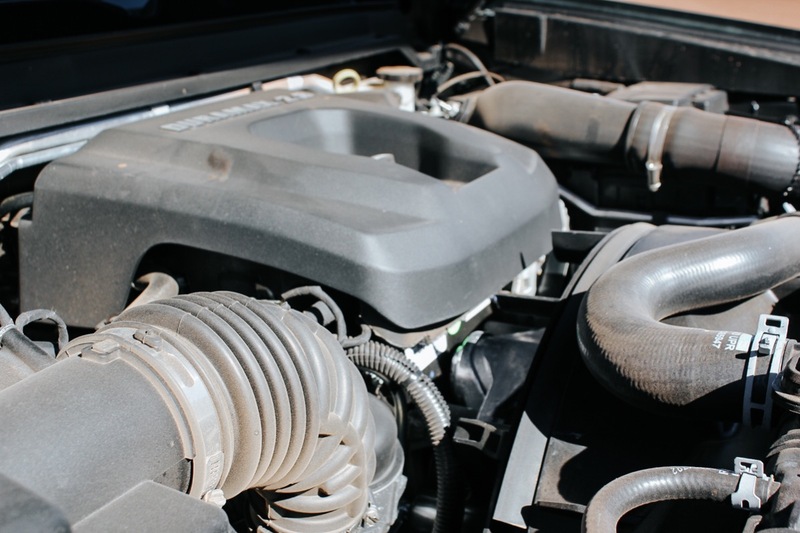 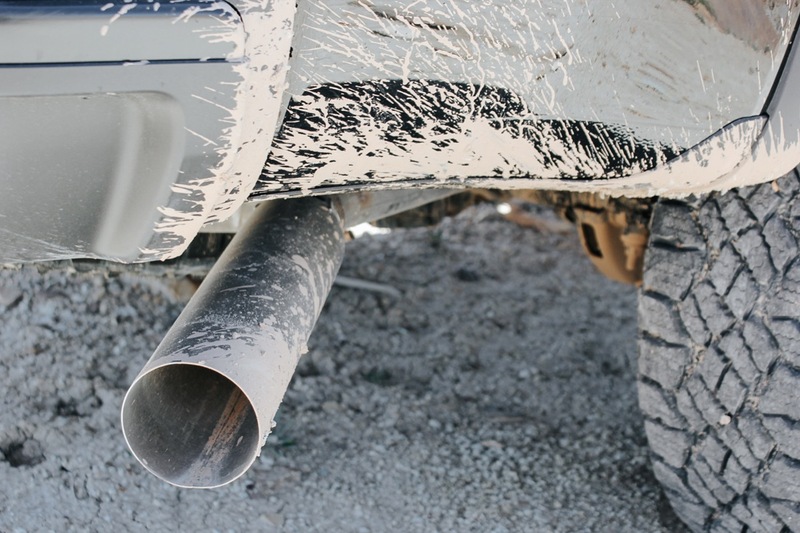 Dampers serve as the heart of any off-road truck. 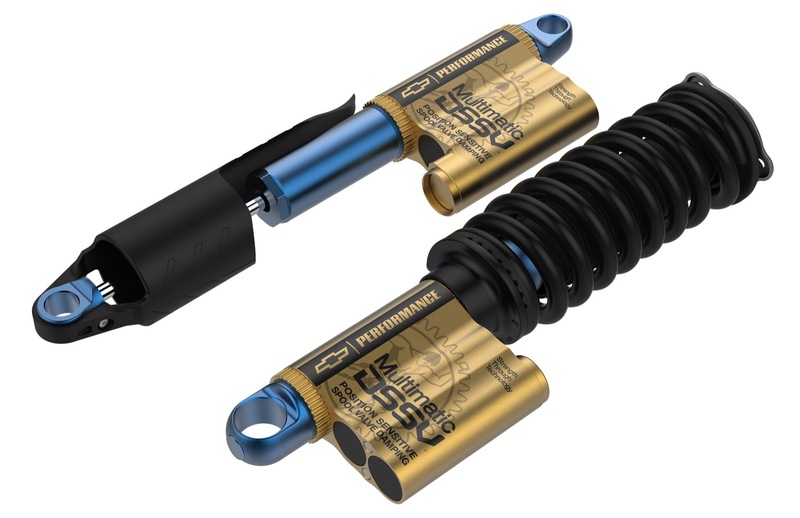 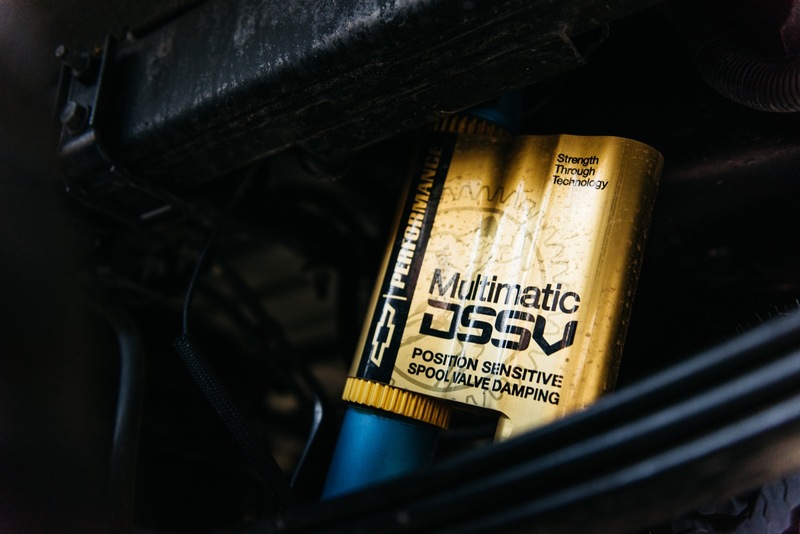 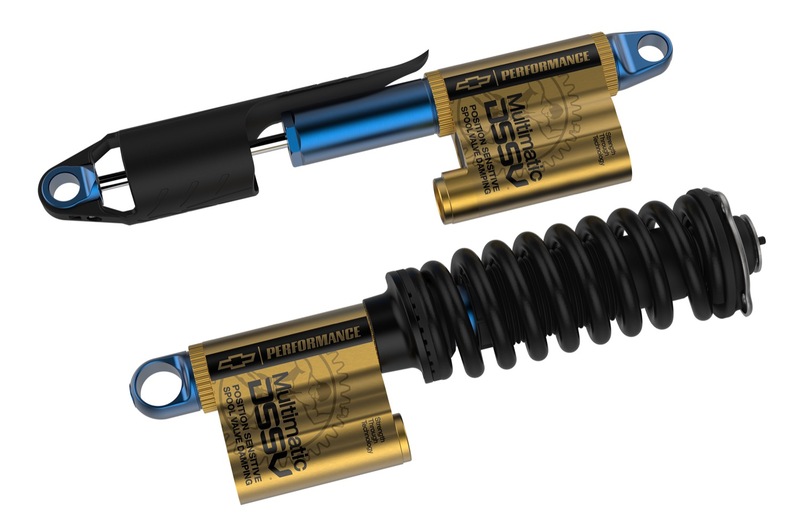 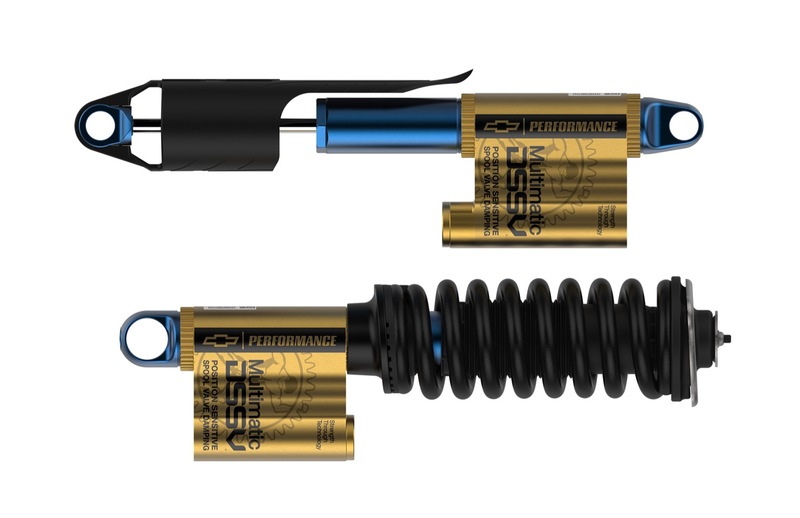 And in order to achieve an unprecedented balance of on- and off-road performance, engineers turned to Multimatic Inc. in creating high-performance Dynamic Suspensions Spool Valve (DSSV) dampers for the ZR2. 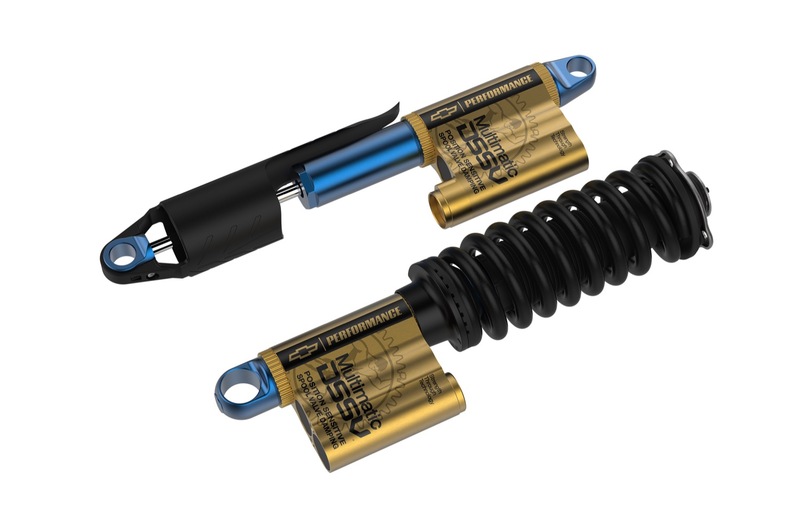 DSSV dampers are used in championship-winning motorsport vehicles, including recent Formula One winners. 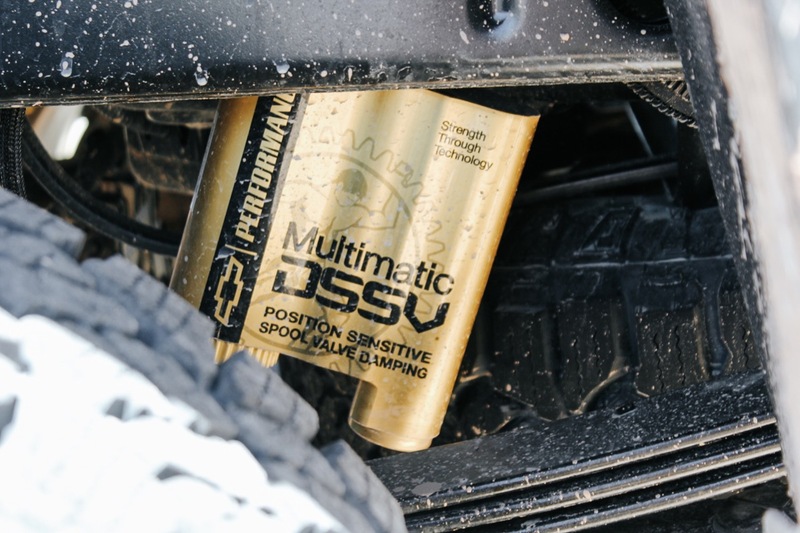 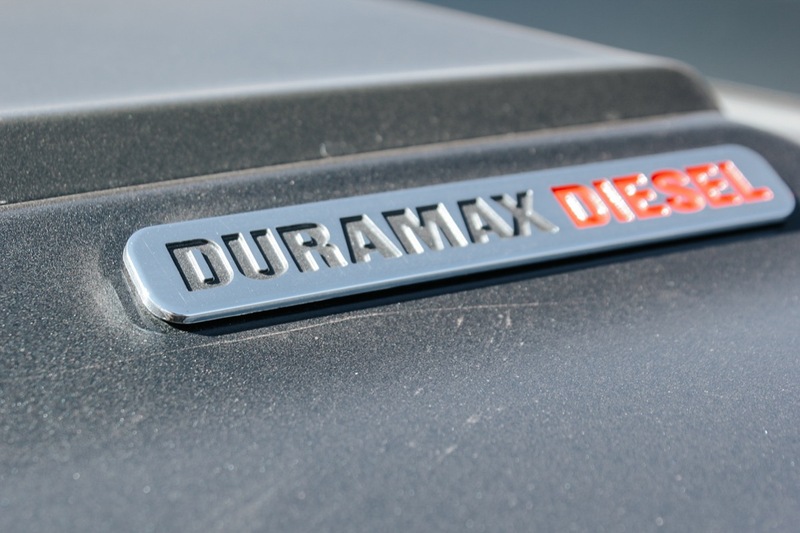 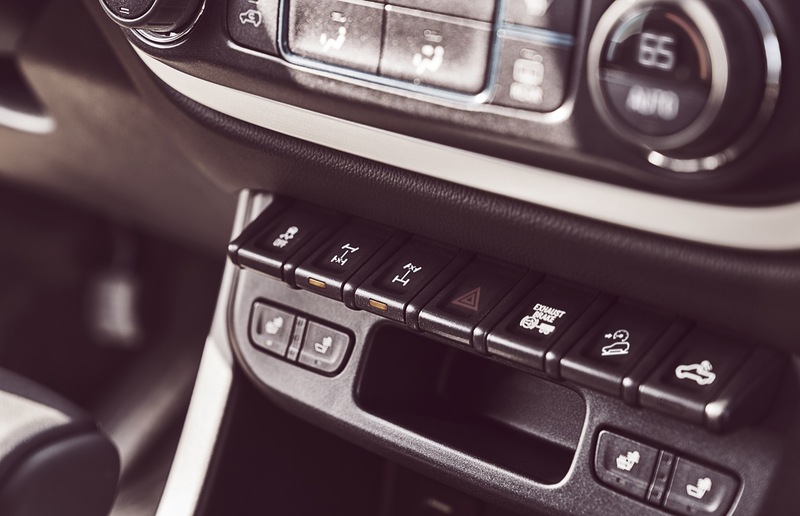 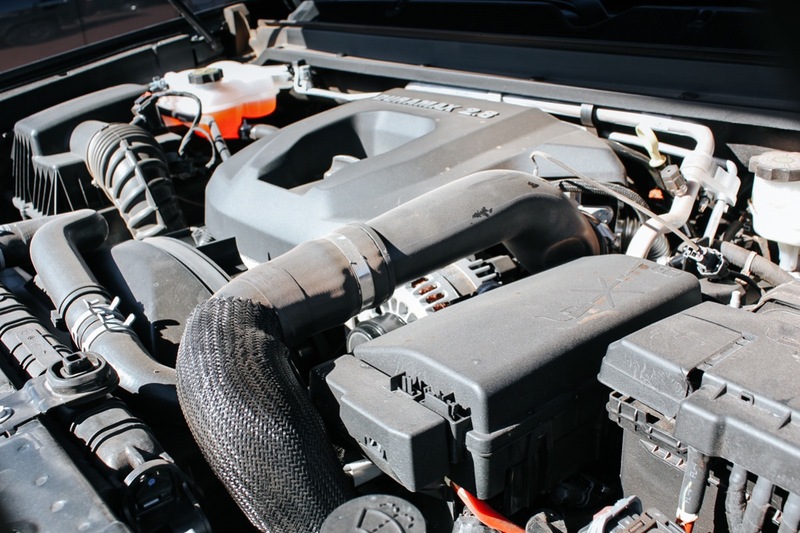 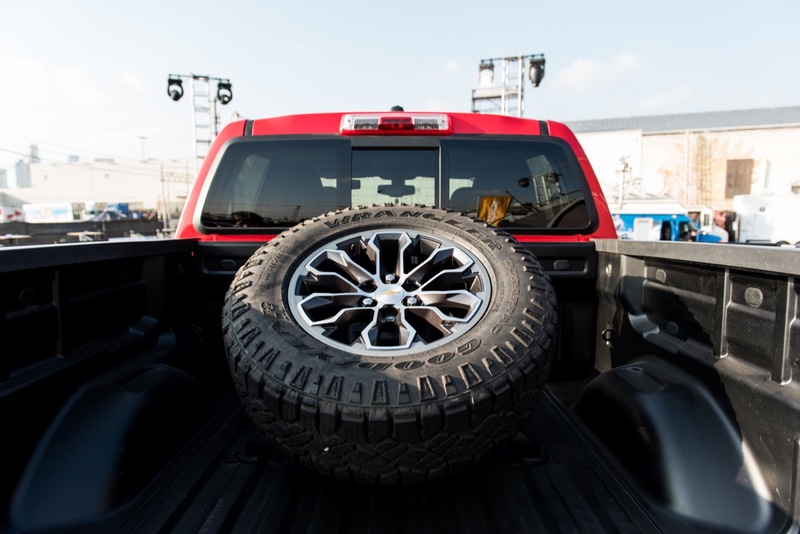 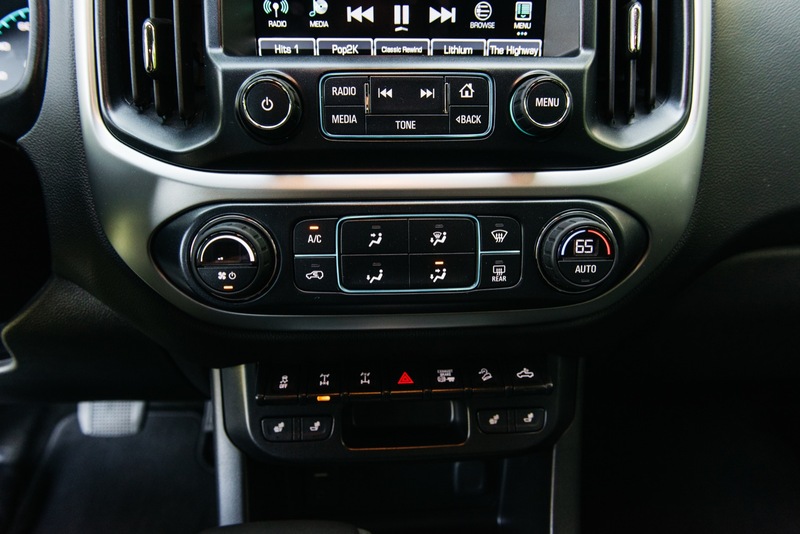 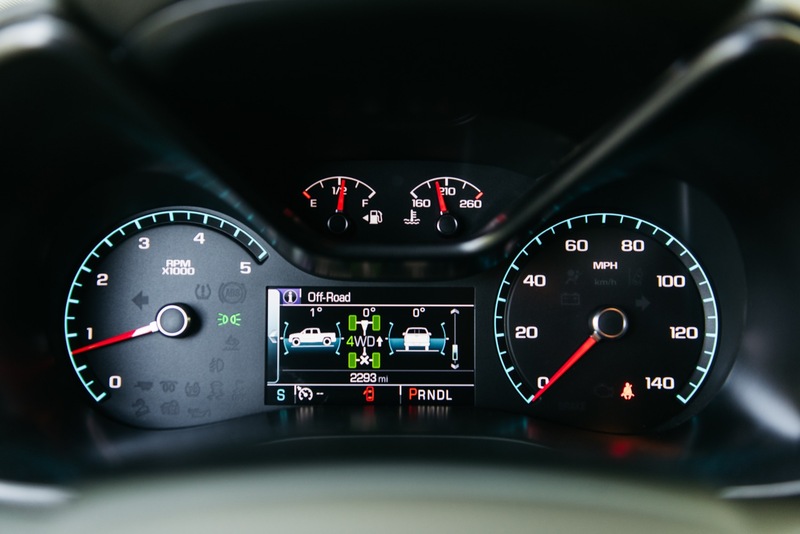 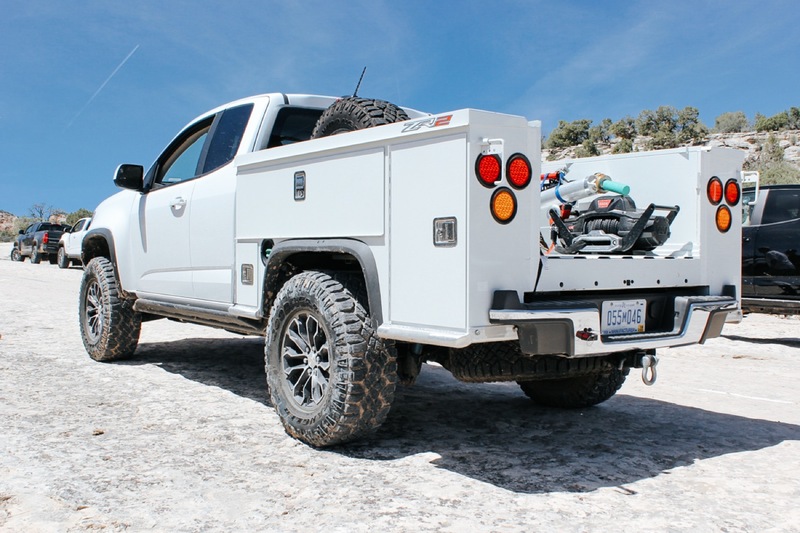 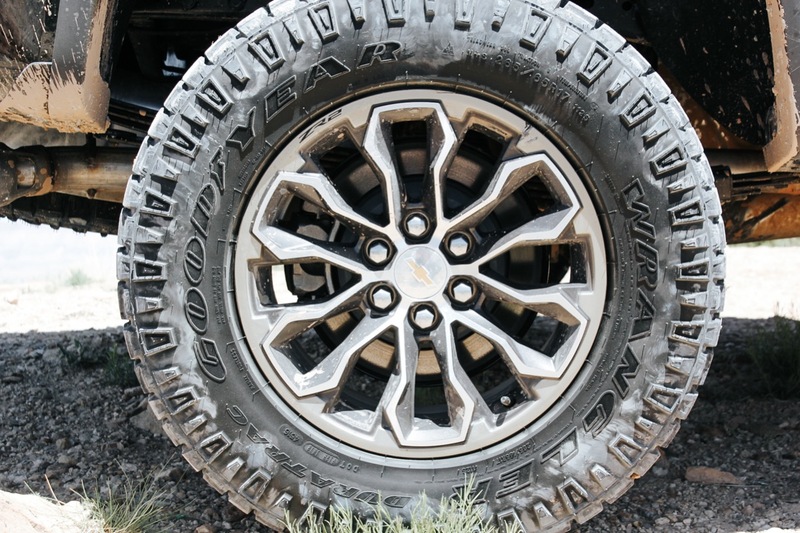 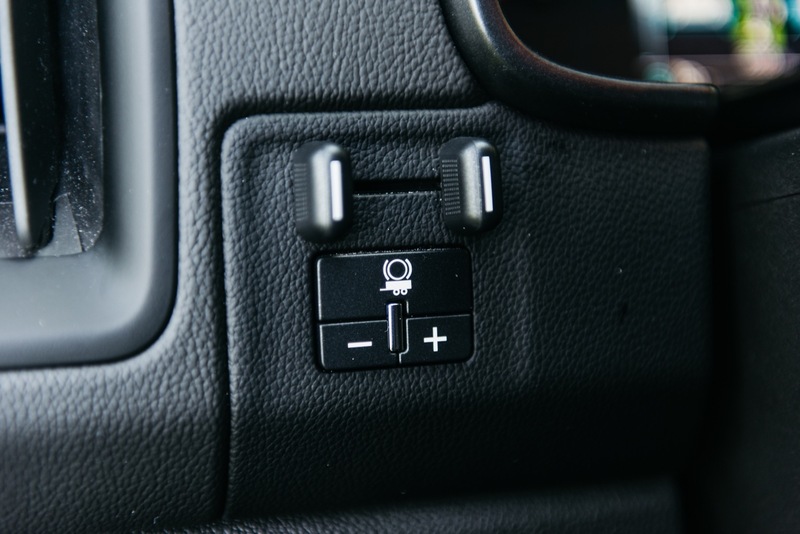 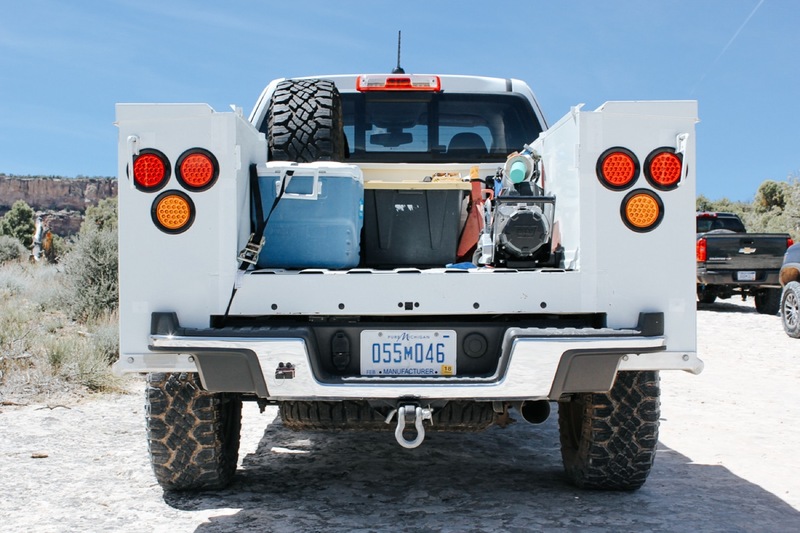 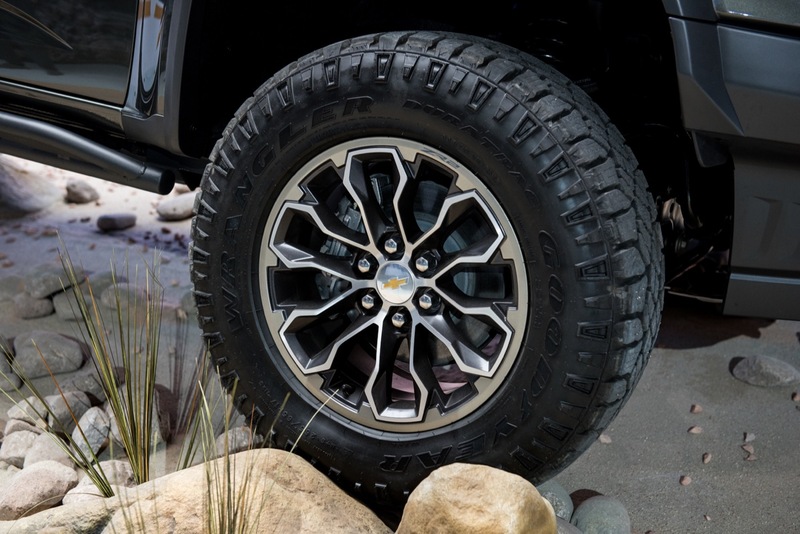 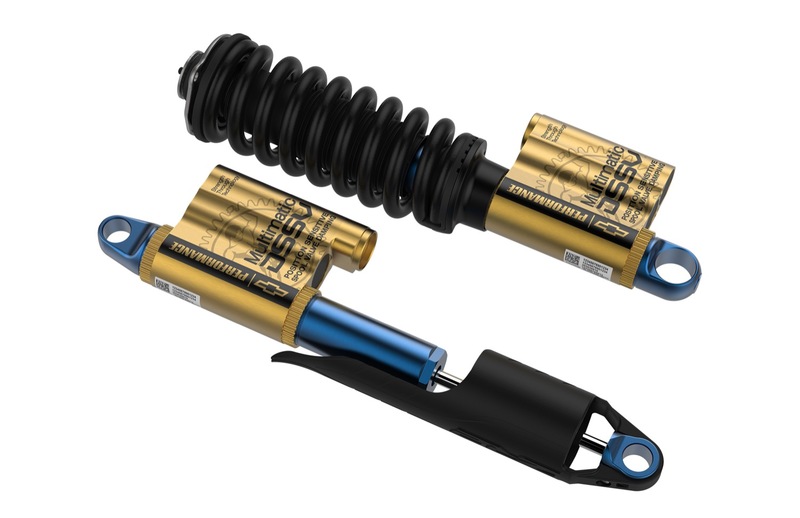 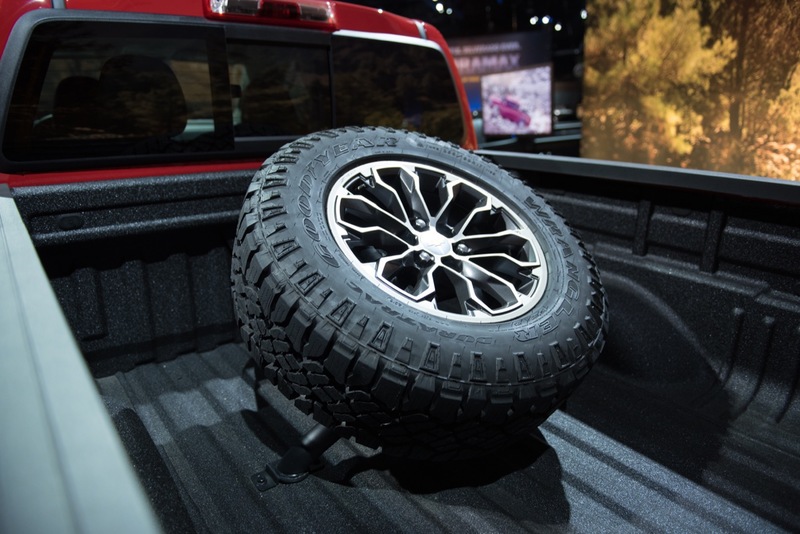 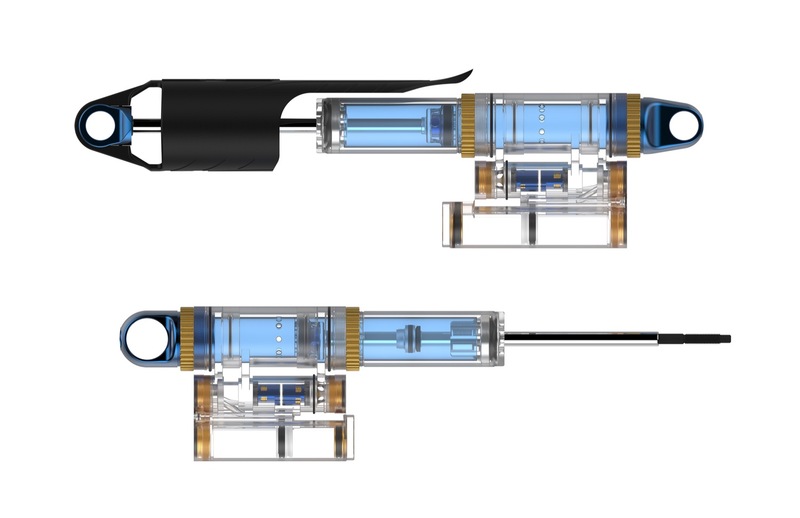 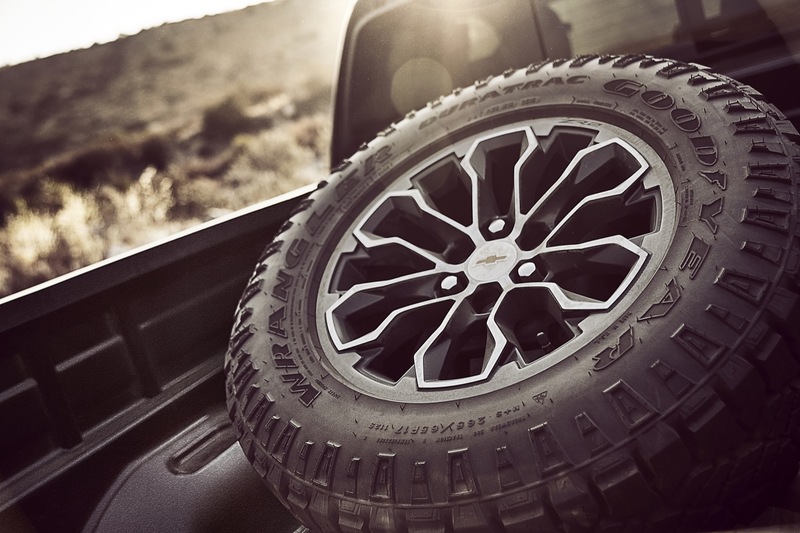 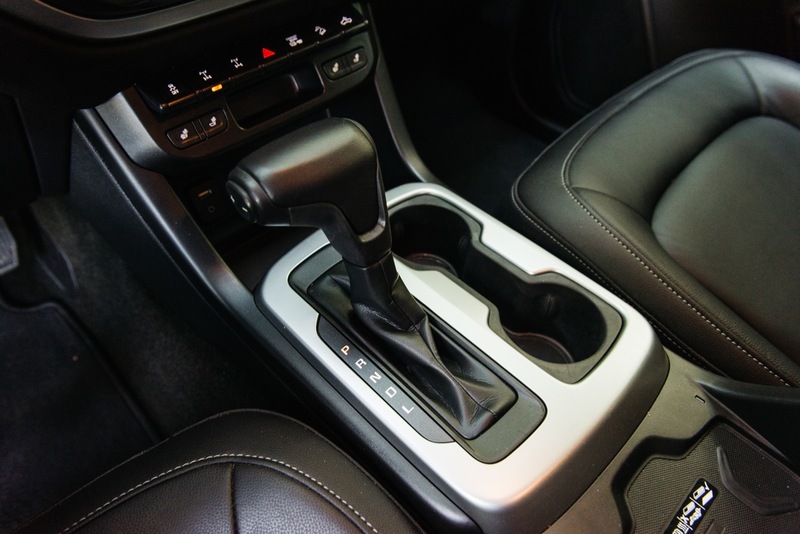 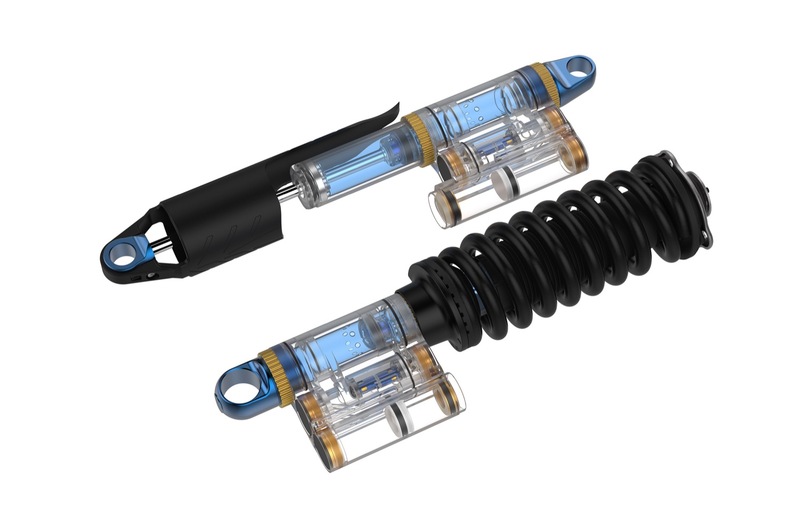 The first volume production vehicle to use DSSV dampers was the 2014 Chevrolet Camaro Z/28, and the Colorado ZR2 represents the first application of Multimatic DSSV damper technology in an off-road vehicle. 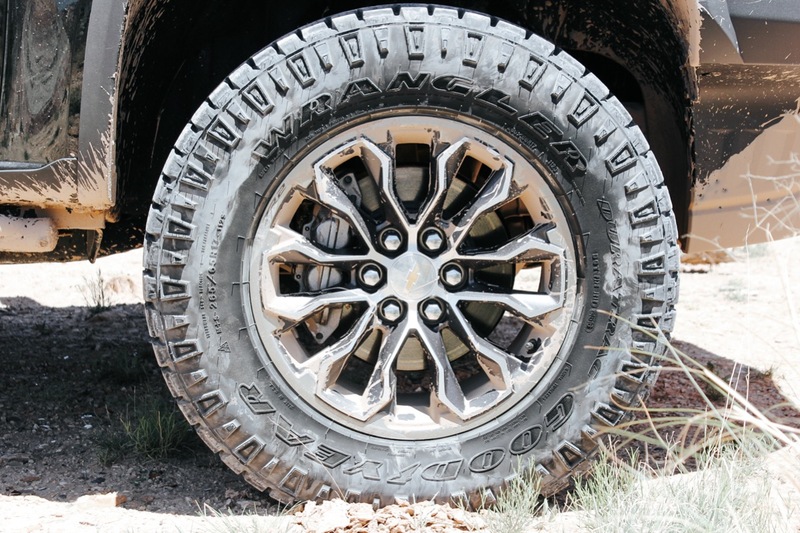 Compared to deflected-disk valving common on most dampers, the ZR2 employs spool valves that offer increased precision and manufacturing repeatability along with enhanced ride and handling performance, both on- and off-road. 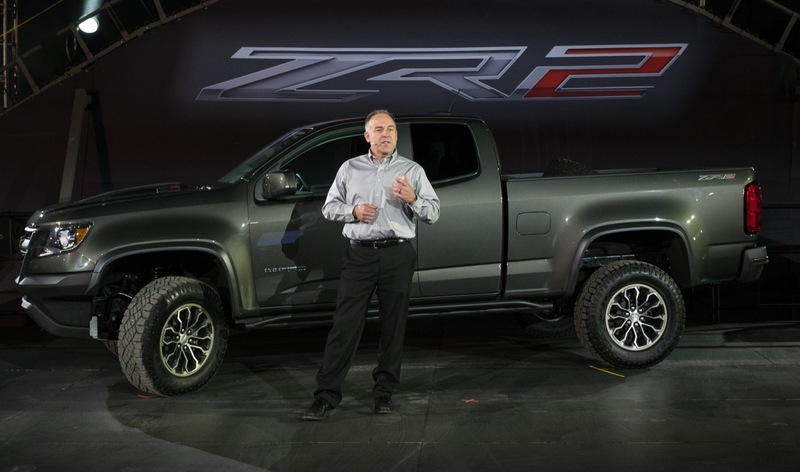 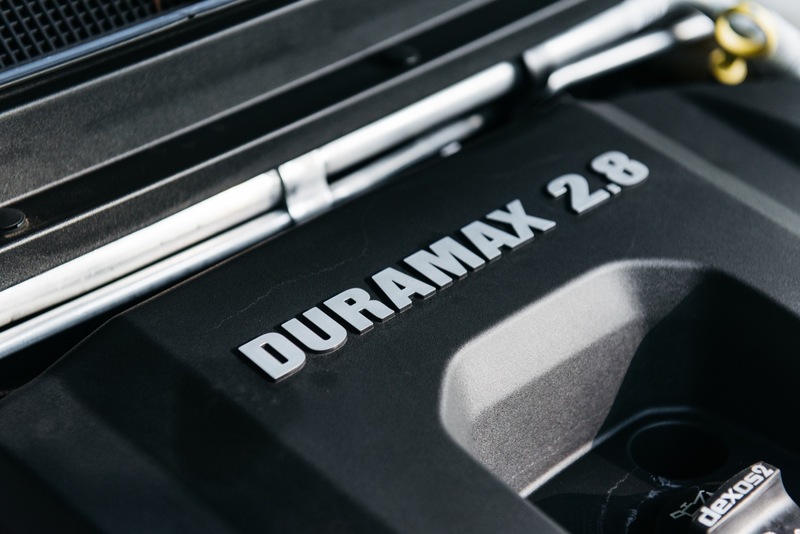 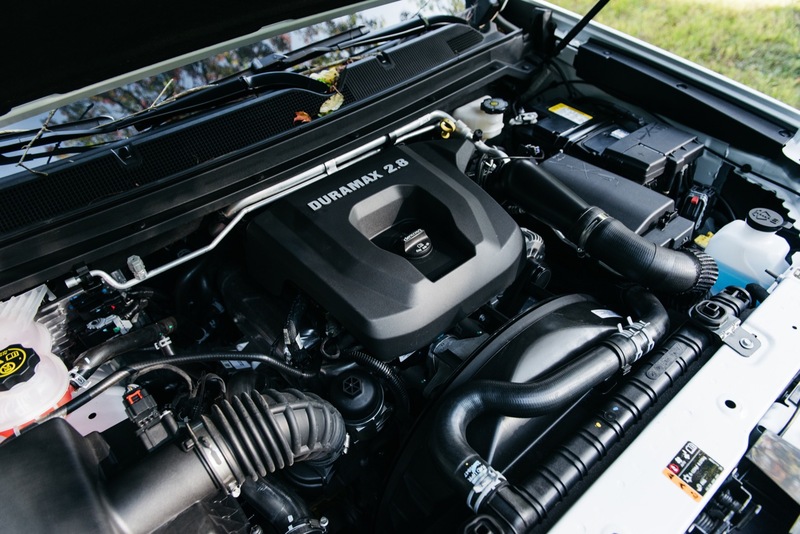 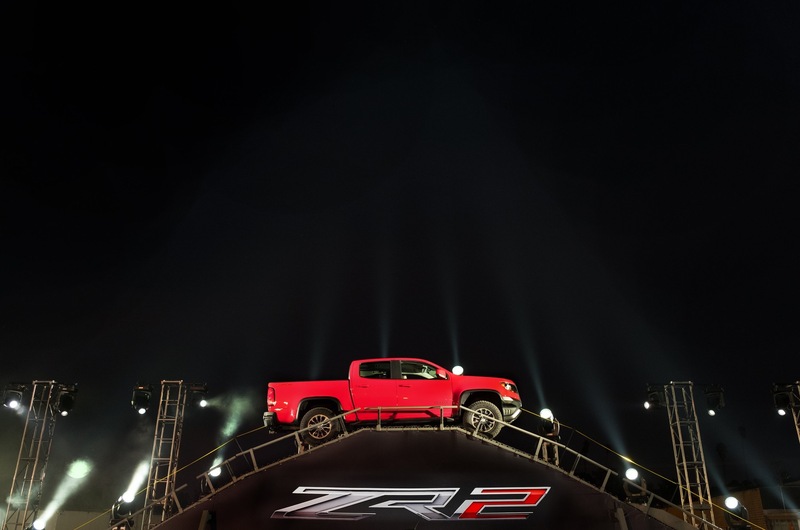 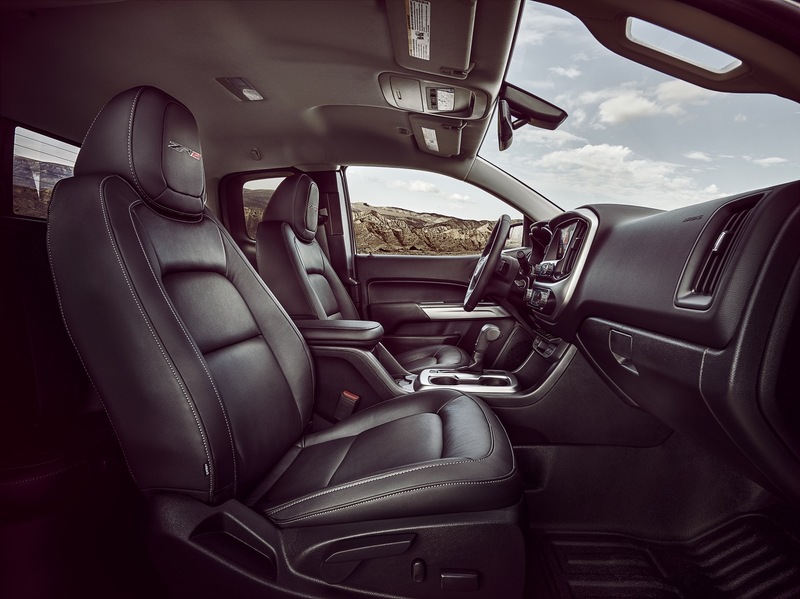 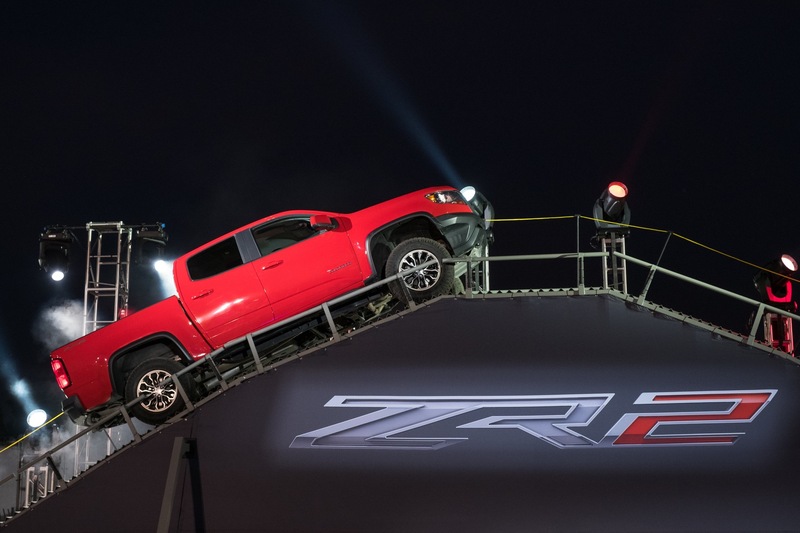 The ZR2 shares its powertrains with the 2018 Colorado, and it will be the only extreme production off-road truck to offer the choice of gas or diesel engines. 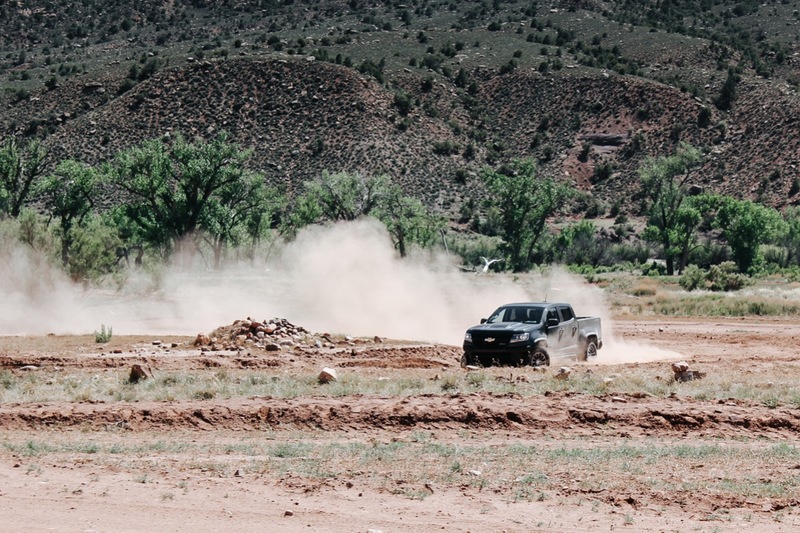 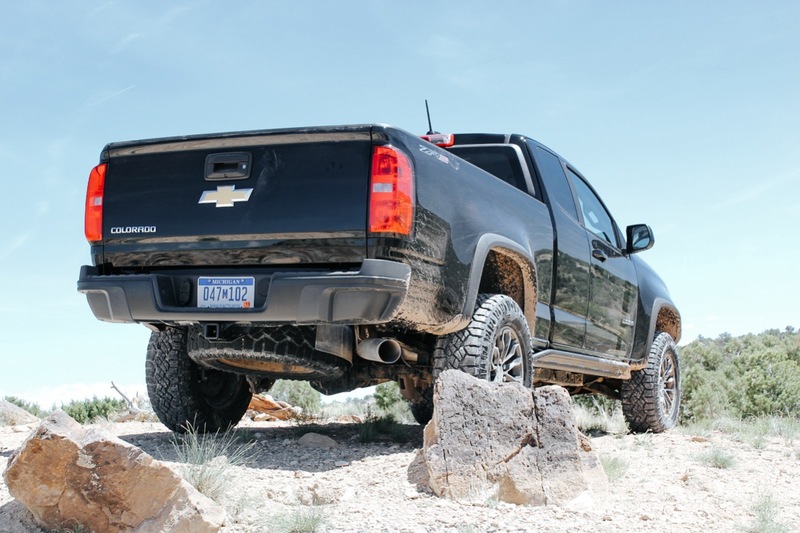 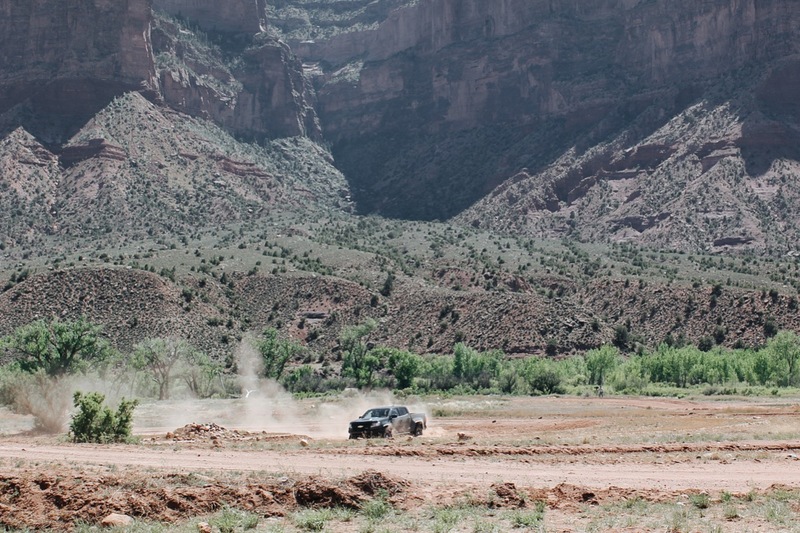 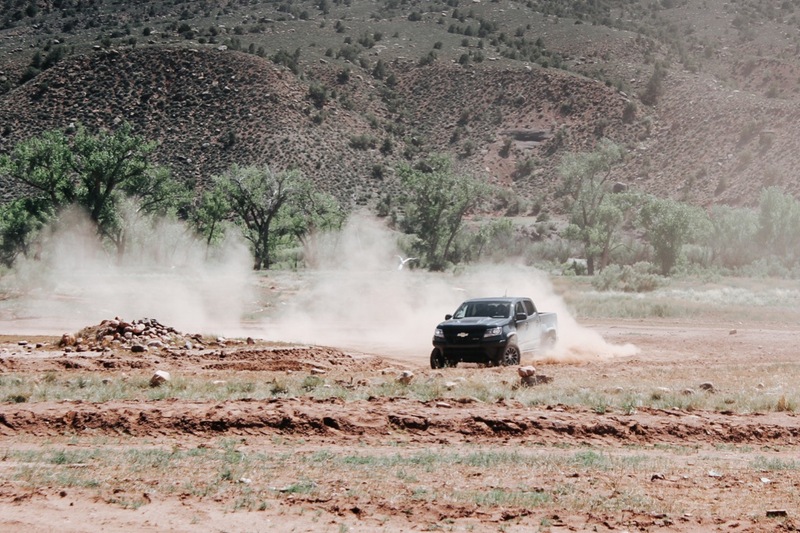 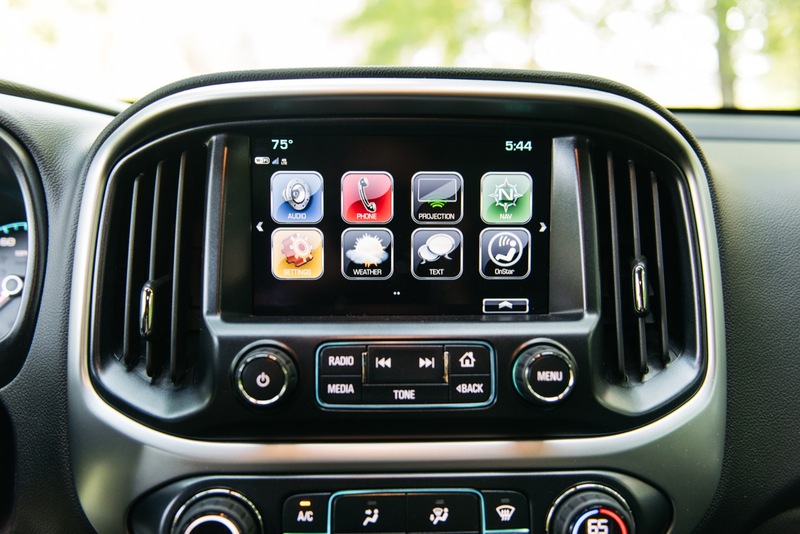 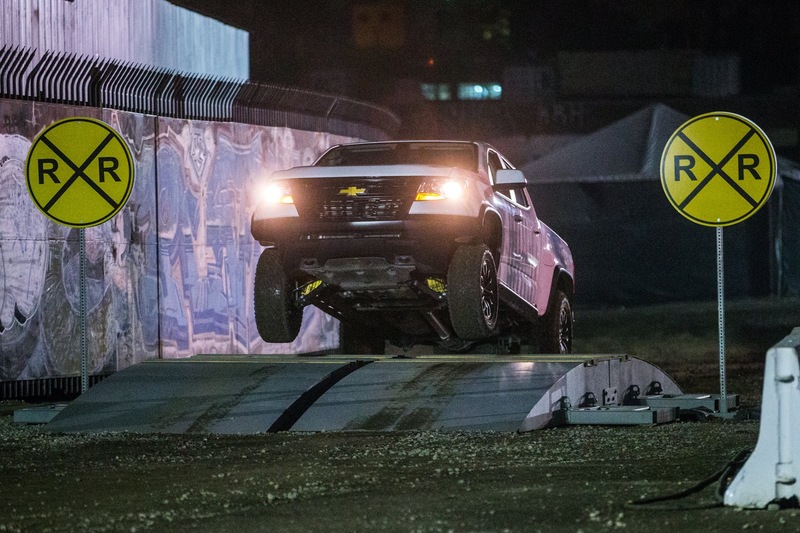 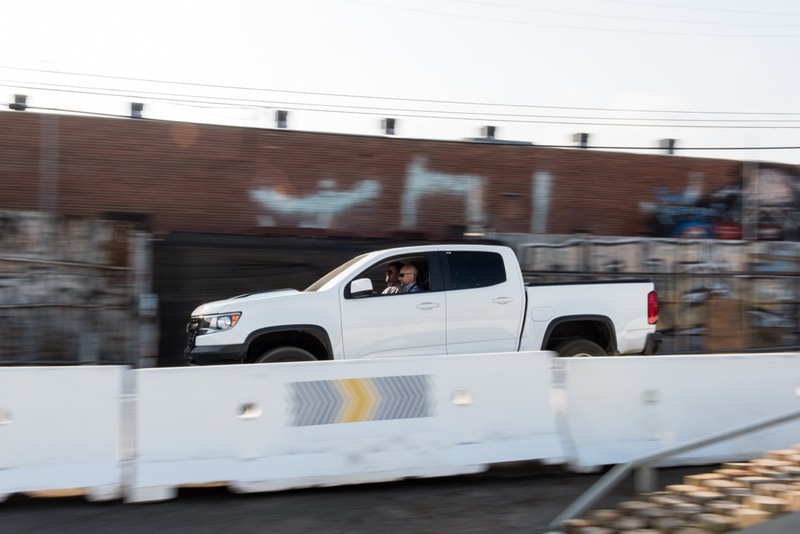 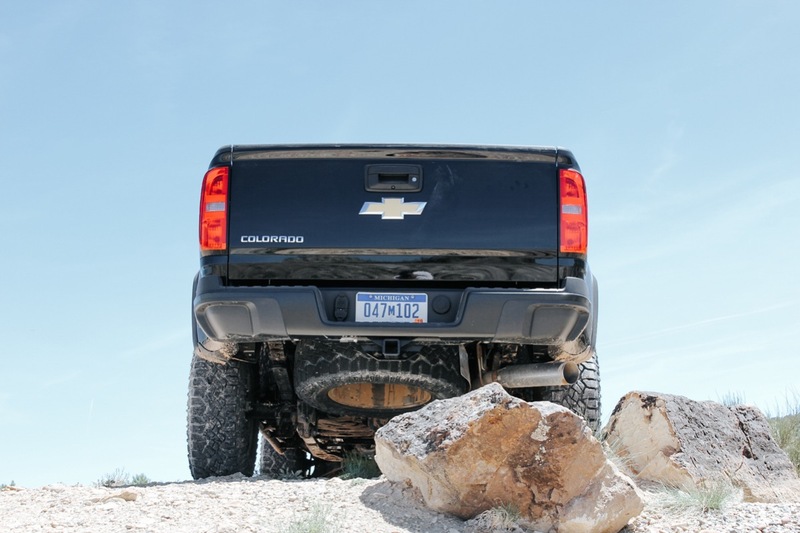 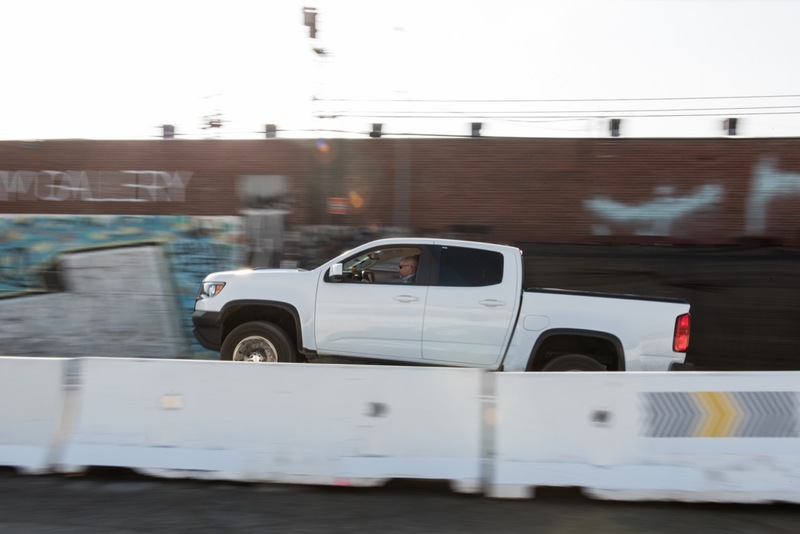 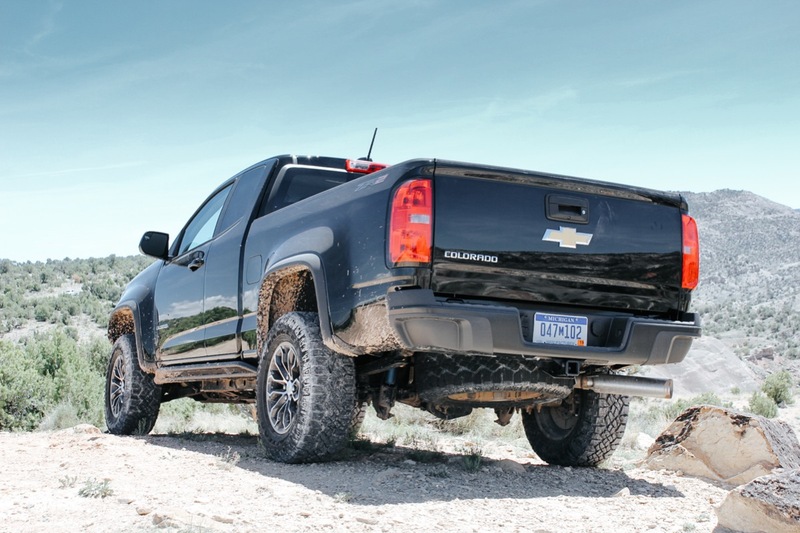 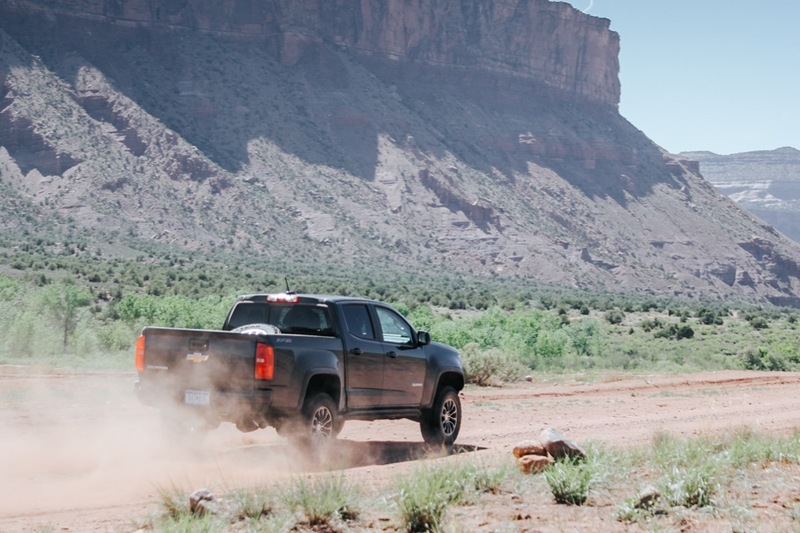 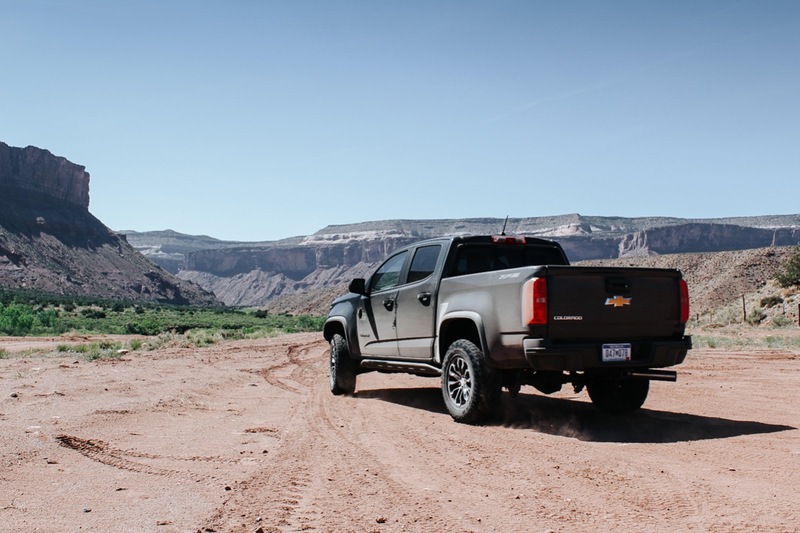 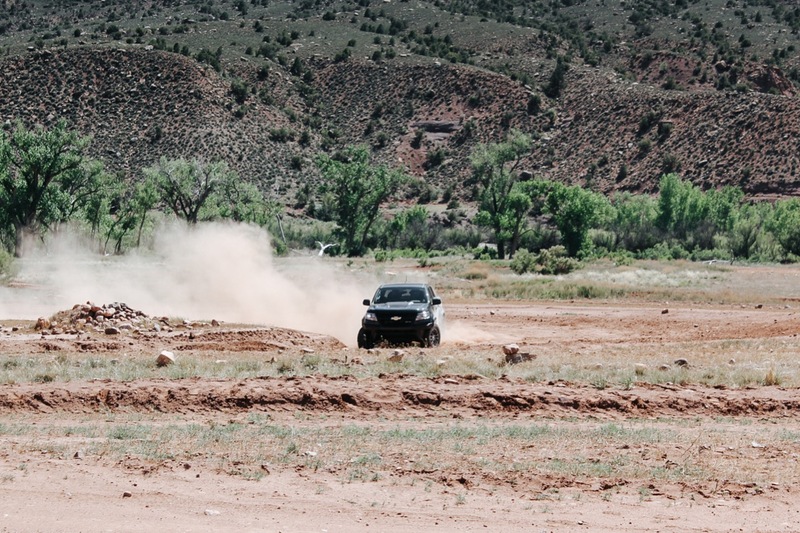 In developing the Colorado ZR2, Chevrolet developed new off-road test areas at General Motors’ Yuma, Arizona Proving Ground. 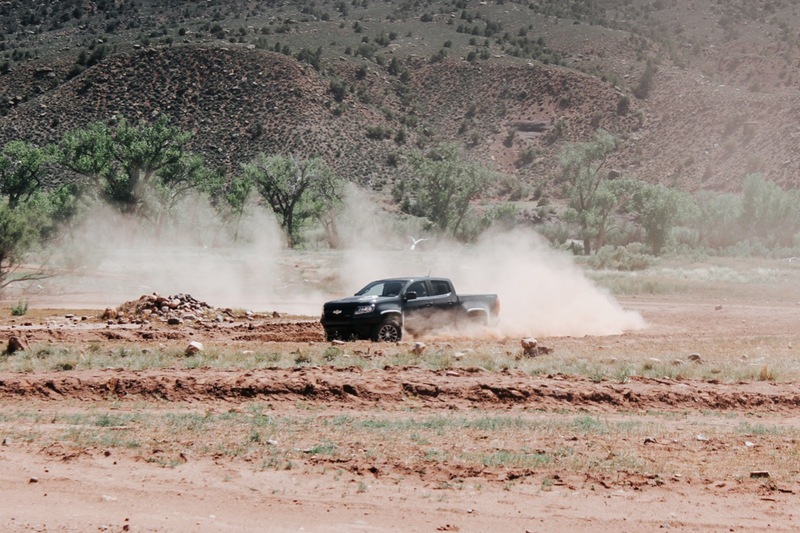 Located on 2,400 acres of land in southeastern Arizona, the Yuma Proving Ground opened in 2009 and features a range of tracks, laboratories and courses. 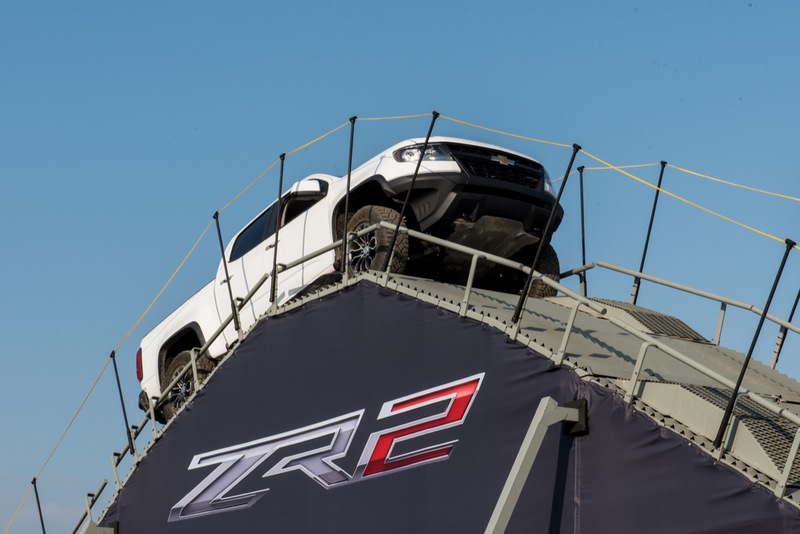 Yuma Proving Ground’s new off-road course allowed the engineering team to test multiple iterations of components on the ZR2 is a single day. 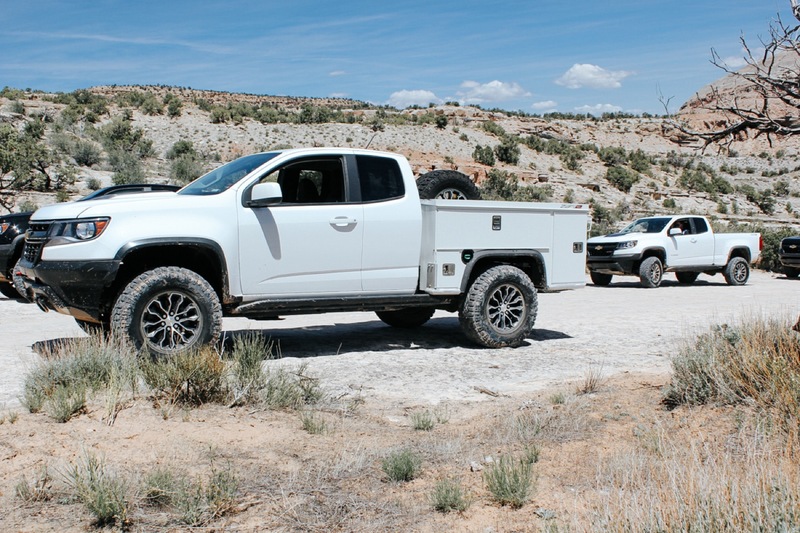 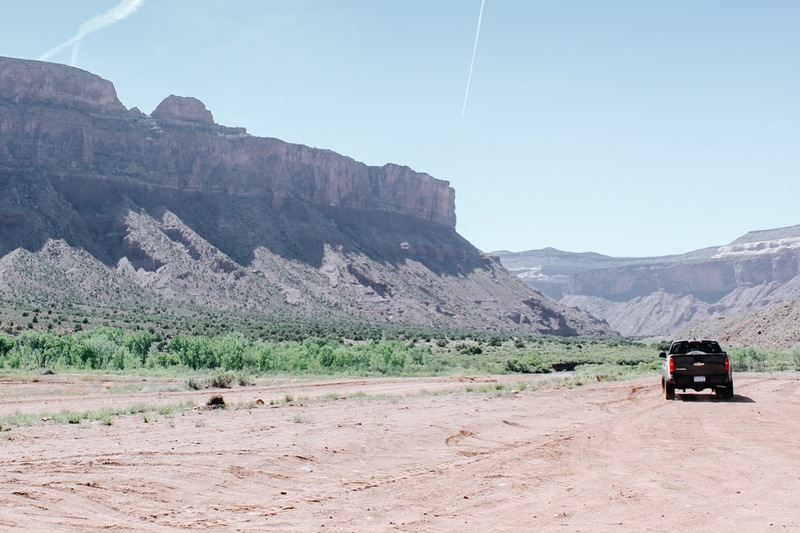 These components were then tested a real-world facilities like Moab, Johnson Valley, and Rubicon to ensure the ZR2 is trail-ready right from the factory. 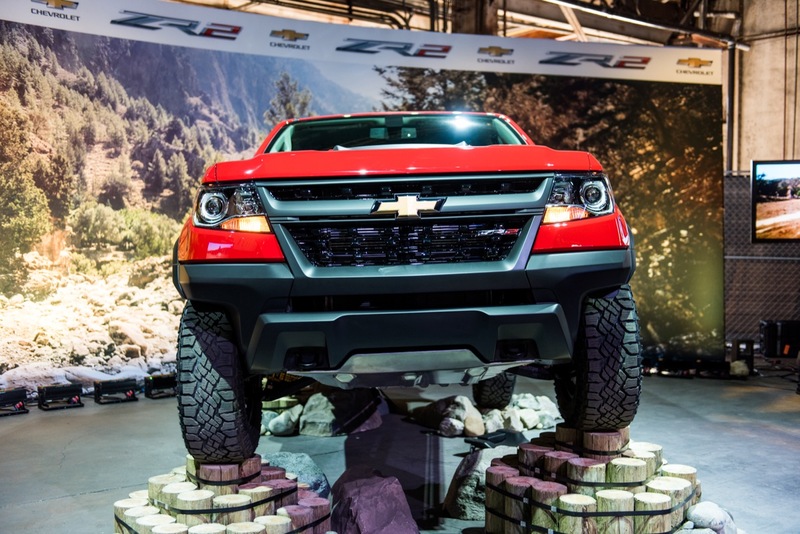 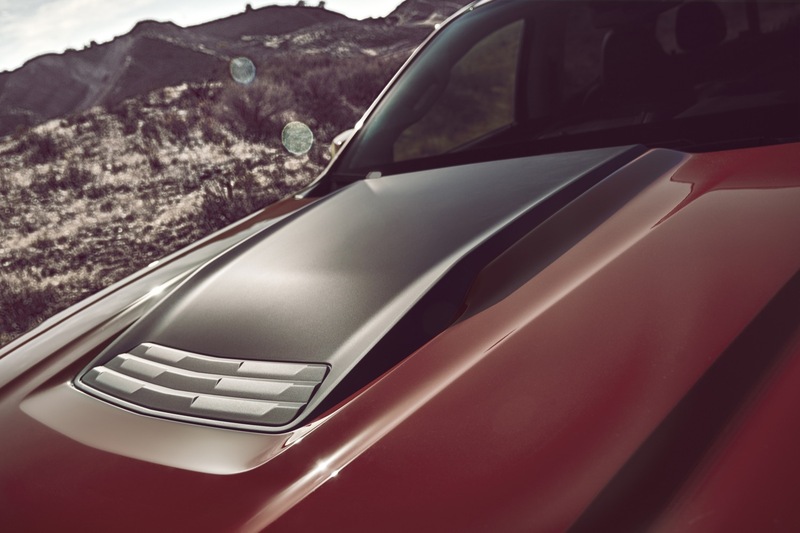 The 2017 model year Chevy Colorado ZR2 made its debut at the 2016 Los Angeles Auto Show.